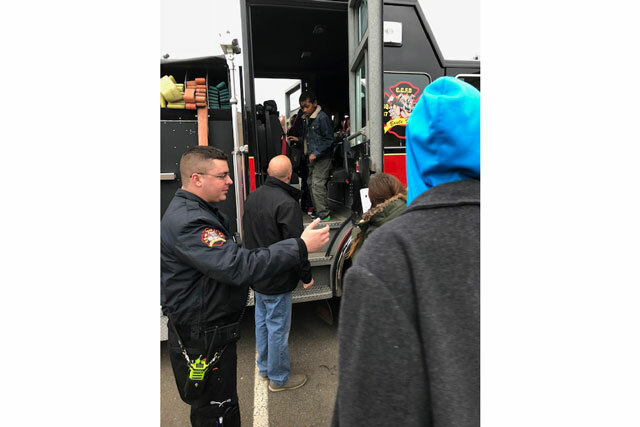 Saturday, April 27th from Noon until 3pm! 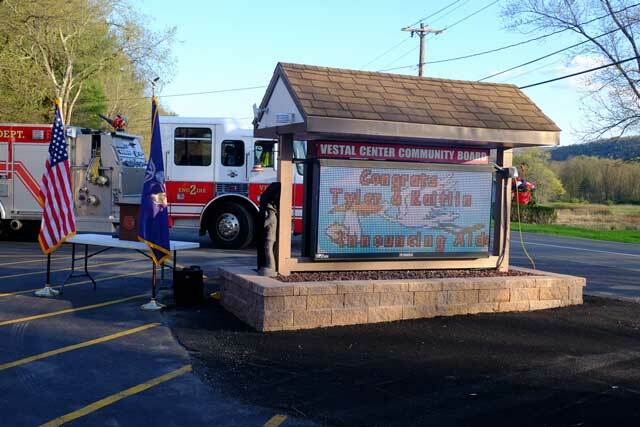 Please stop down and support the Vestal Fire Department! 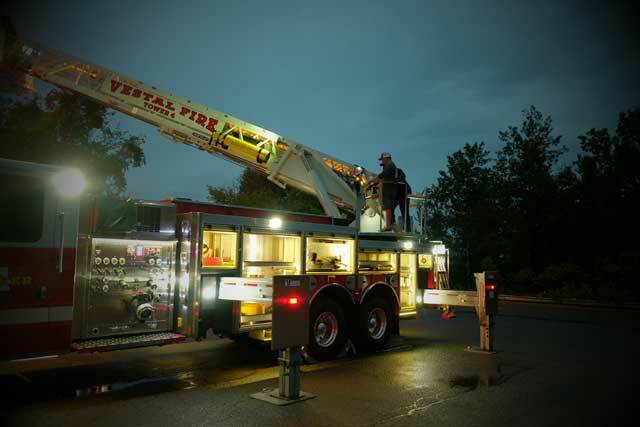 See what we have to offer! 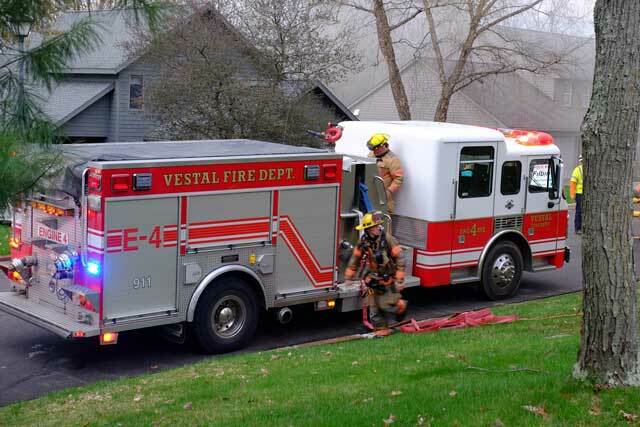 The yearly Burn Ban runs between March 15th and May 15th. 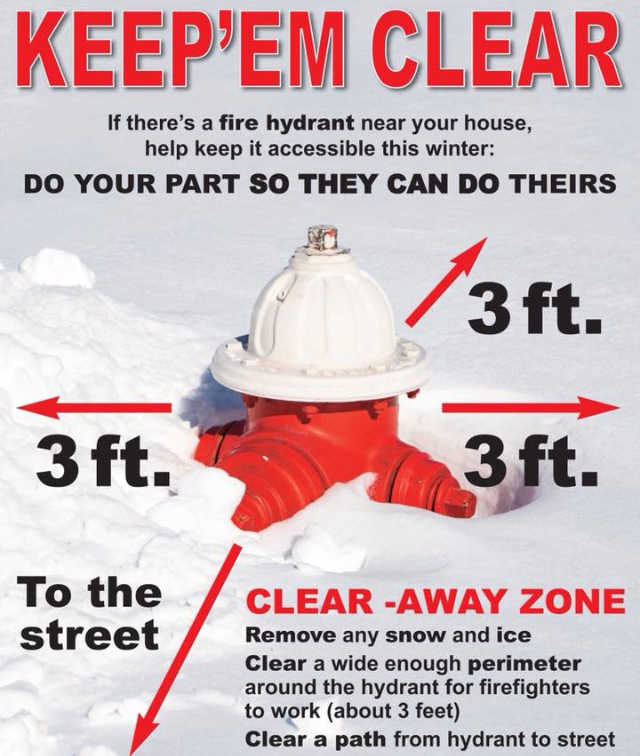 This can be extended depending on conditions. 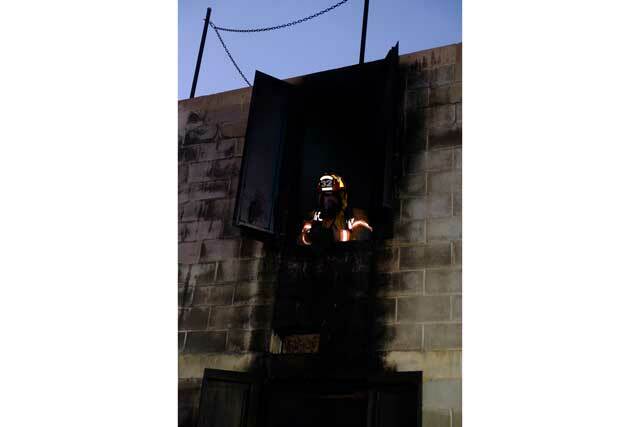 If you decide to burn during the ban, and get caught, costly penalties can be incurred. 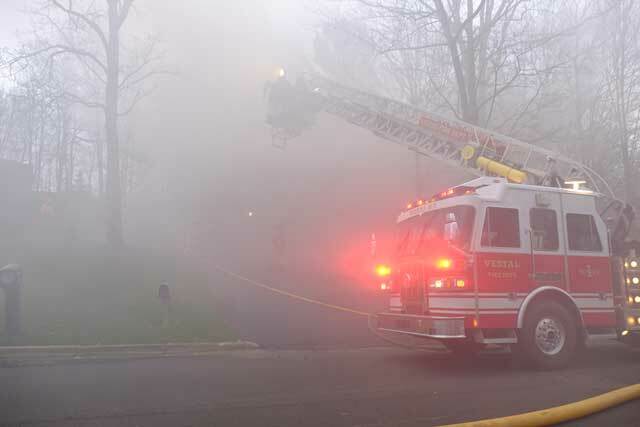 Once the Burn Ban is lifted, there are still restrictions on what, how, and when you can burn. 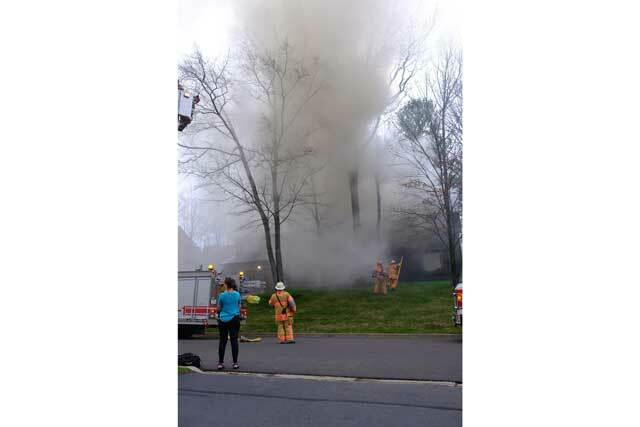 Check your local ordinances on open burning. 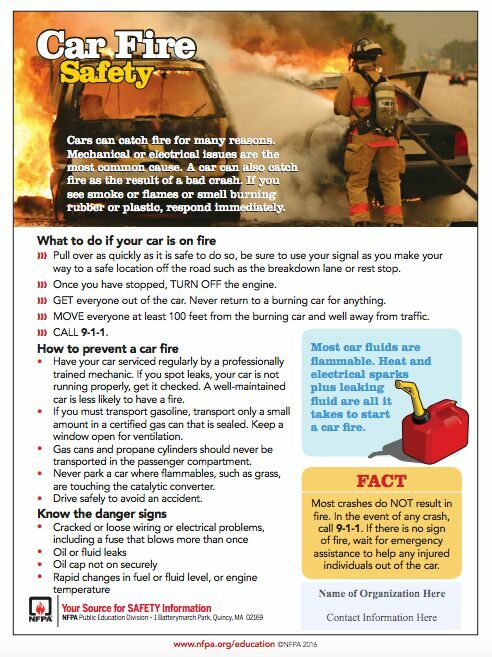 Learn before you Burn! 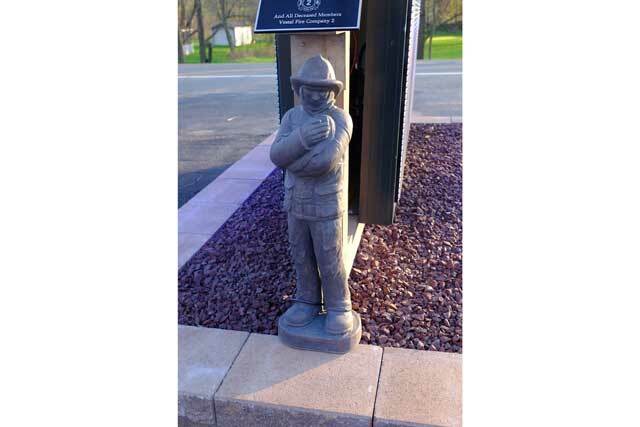 Please abide by the law! 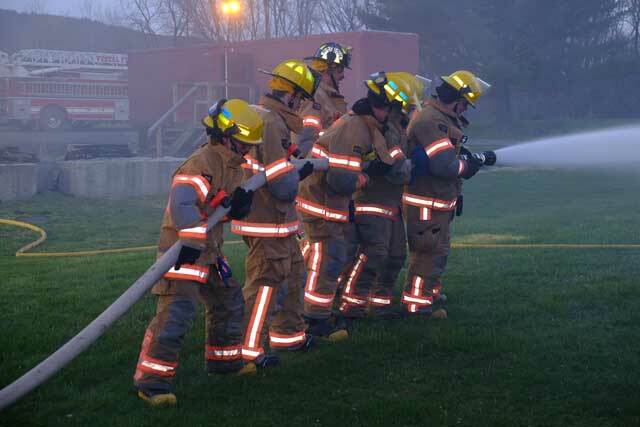 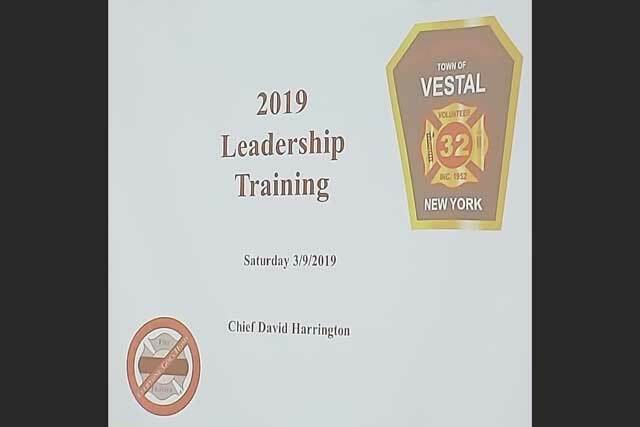 This past March, Fire and Staff Officers had their annual leadership training. 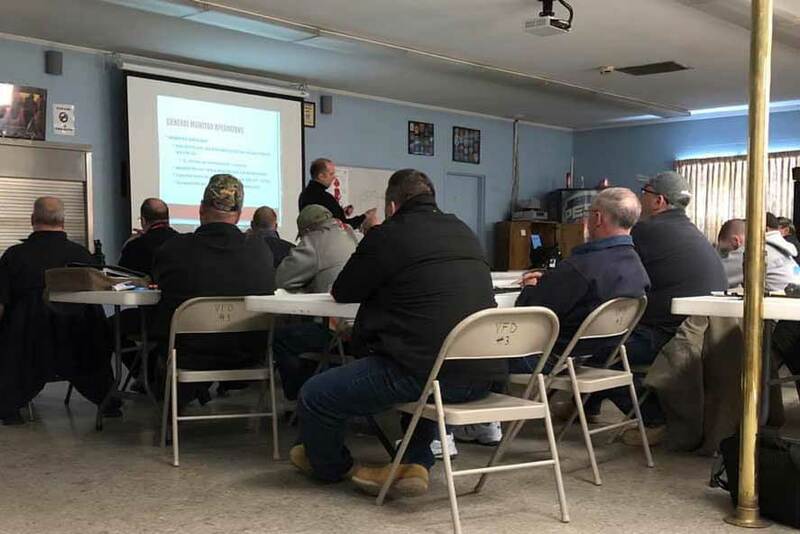 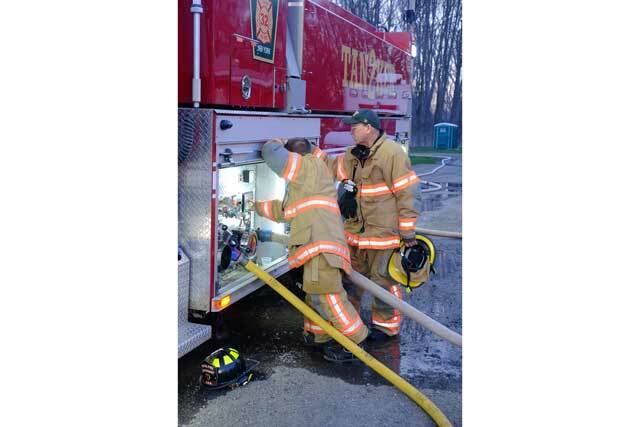 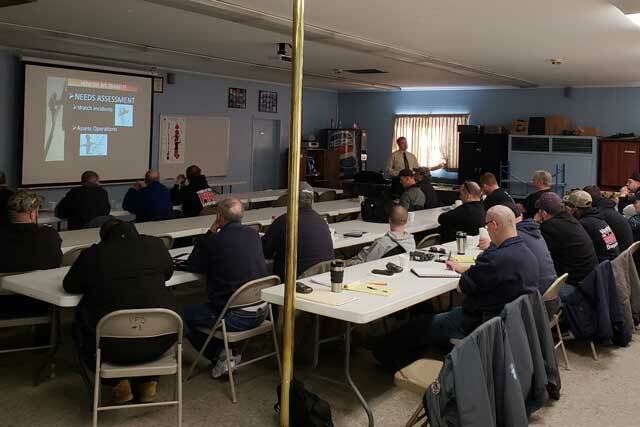 This training included guest speakers on topics from the importance of training in the fire service, familiarization with gas meters and traffic incident management. 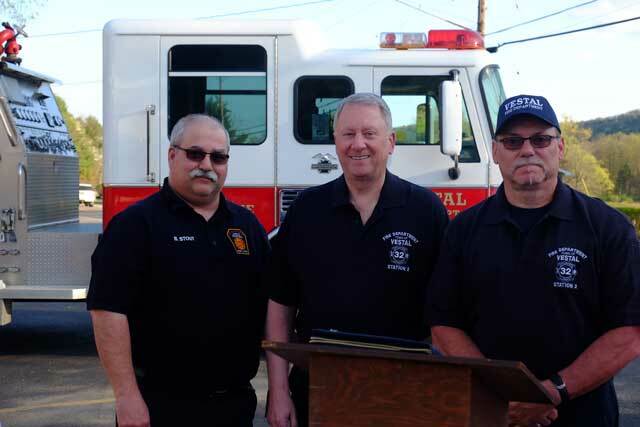 Concluding with a round table discussion with the Chief and Assistant Chiefs. 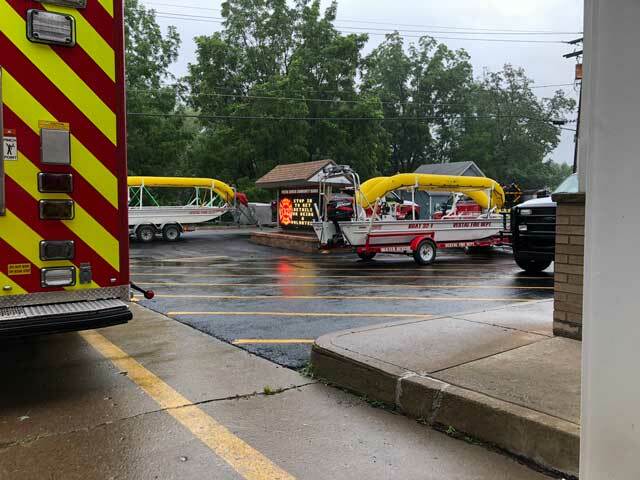 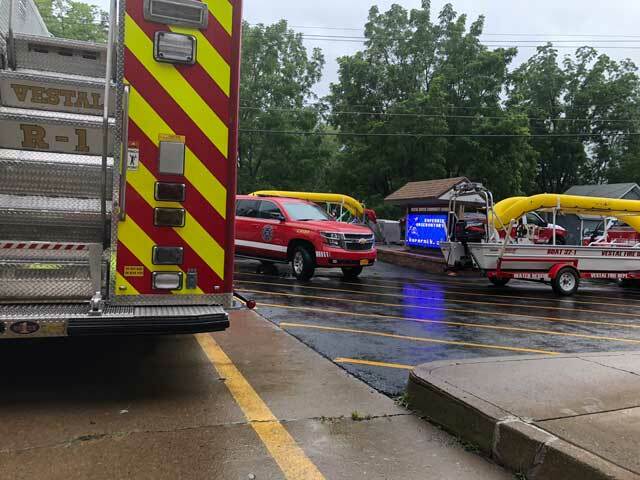 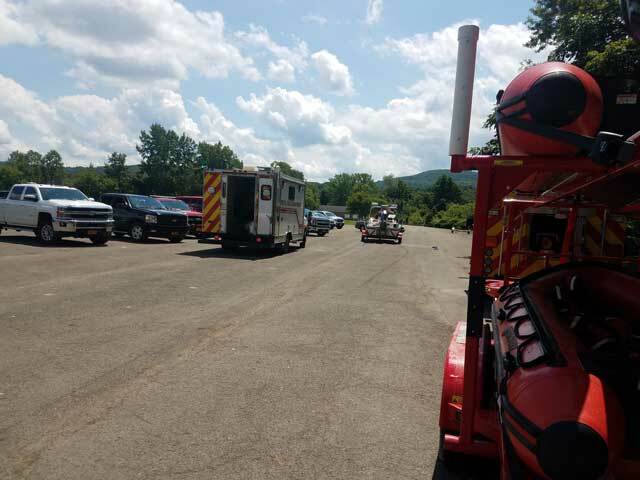 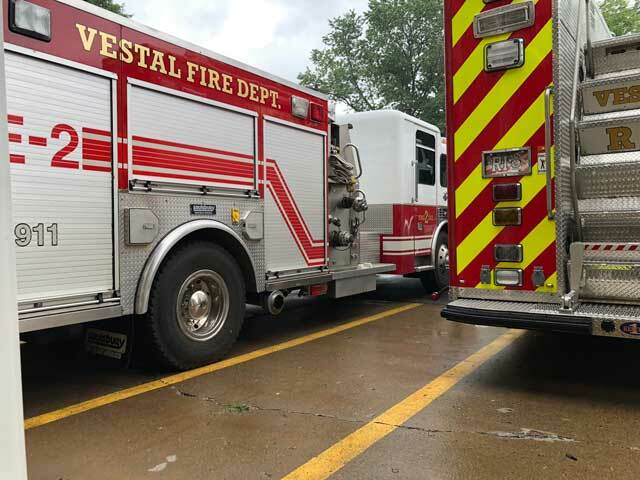 The Vestal Fire Department’s Water Rescue Team along with water rescue members from Endwell, Conklin, and Johnson City participated in the required annual ice water rescue training in Vestal. 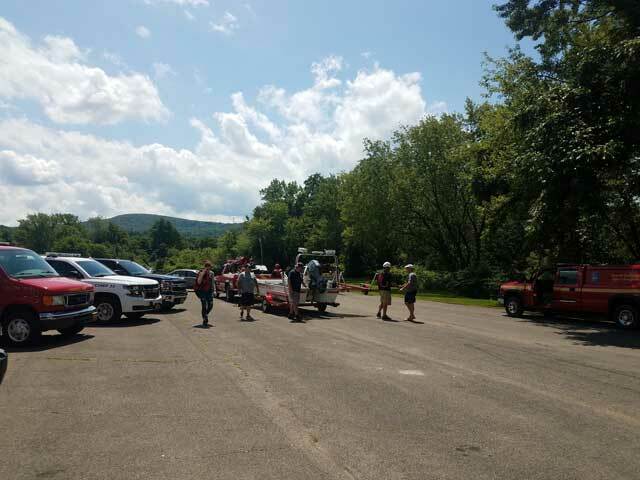 Three stations were set up on a pond were the team members could practice different rescue techniques used in ice water rescue. 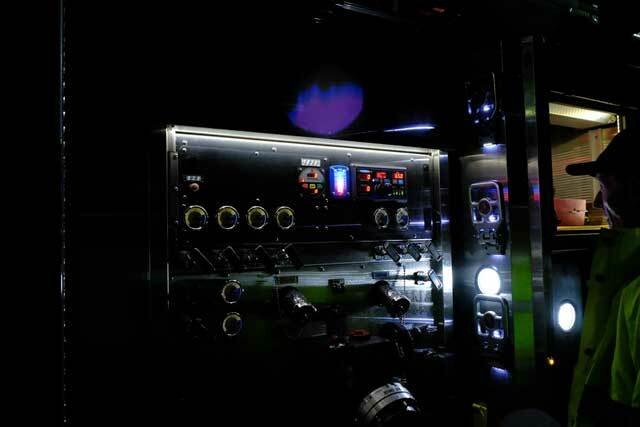 Below are the listed objectives, and the techniques to be used at each station. 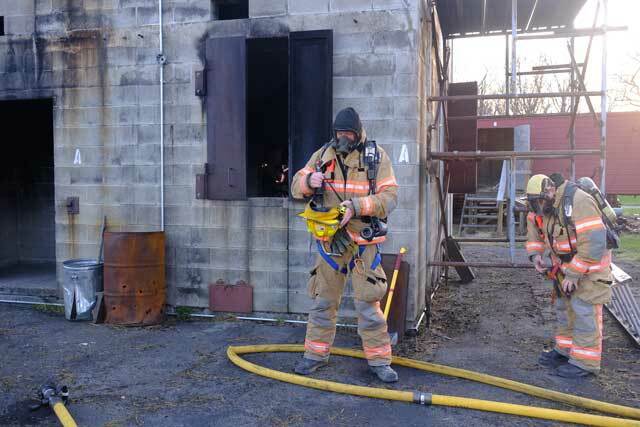 At this scenario, the rescuer will demonstrate the proper throw bag technique. 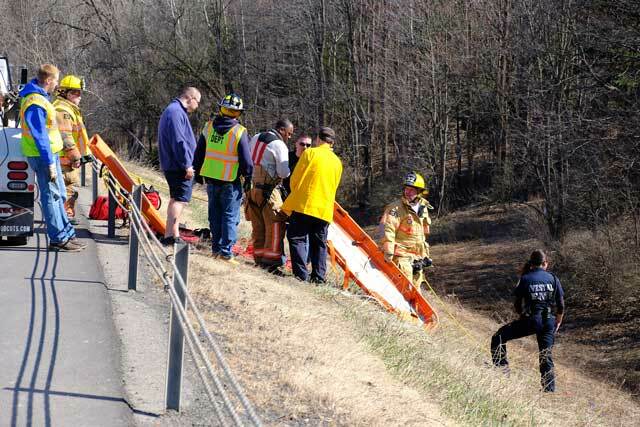 The rescuer must be Throw the bag 2x in a distance of 50ft within 40sec. 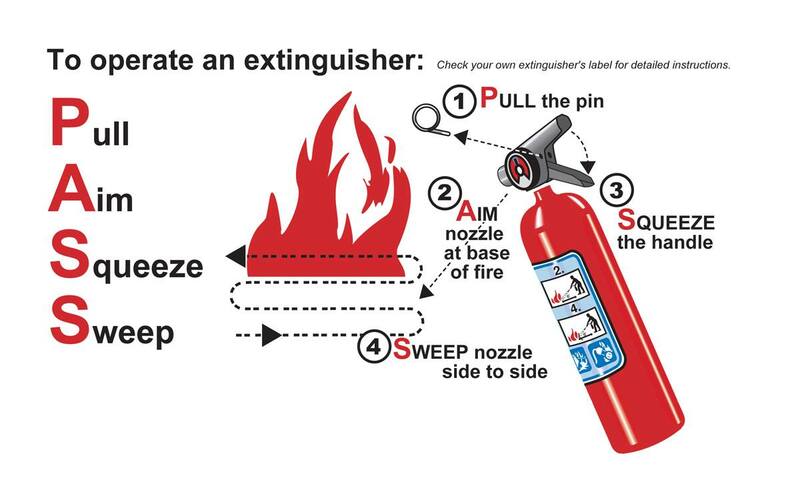 then pull the victim ashore. 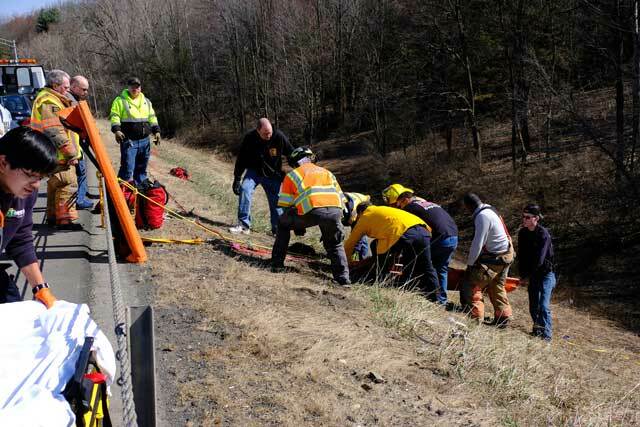 Also, the rescuer will use the Rescue stick and pull the unconscious victim out of the water. 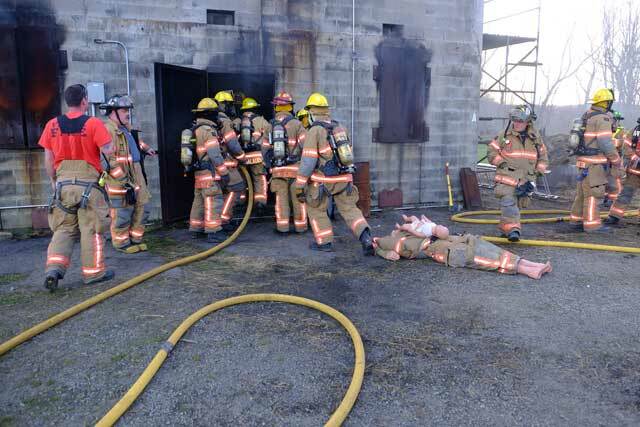 At this scenario, the swimmer must be able to perform 2 different types of self-rescue. 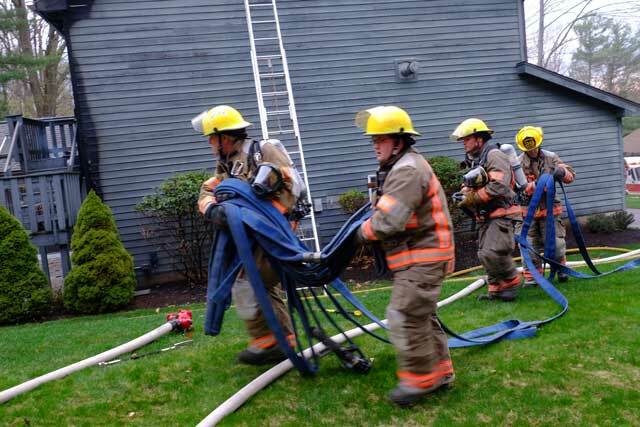 Self-rescue using just their own momentum (using just elbows and feet). 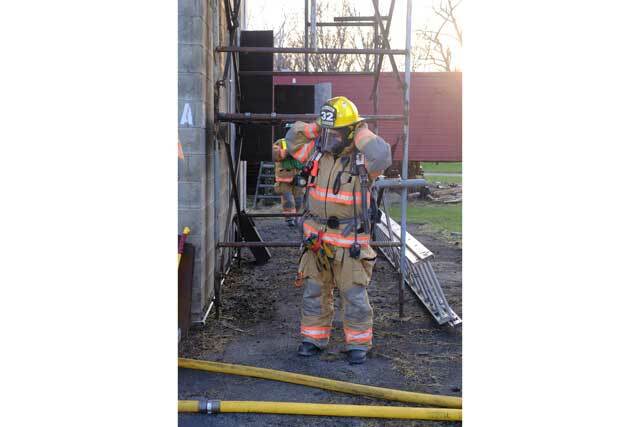 Self-rescue using the ice picks. 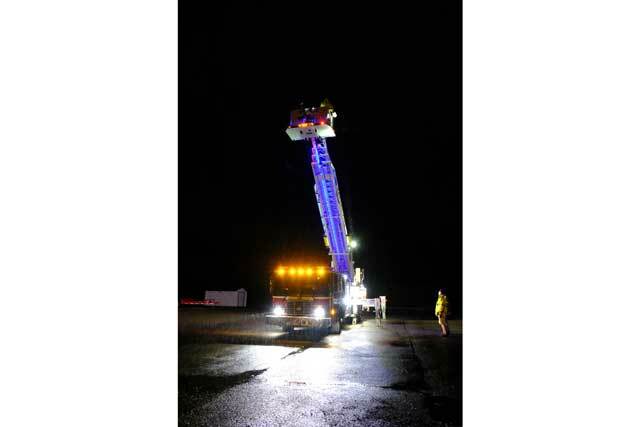 At this scenario, a victim has fallen into the ice and the rescuer must use the RDC to reach the victim. 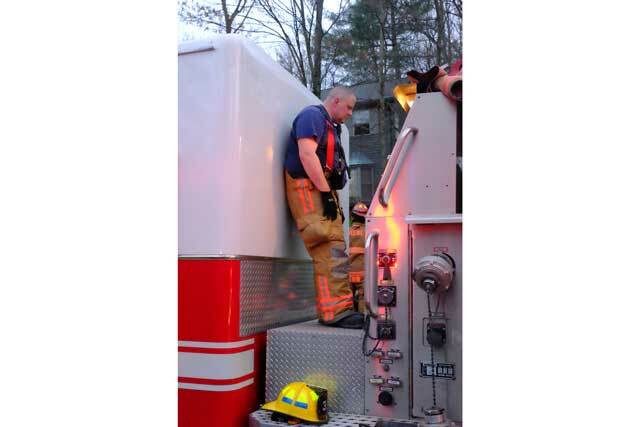 The rescuer must show the proper technique and approach with the RDC. 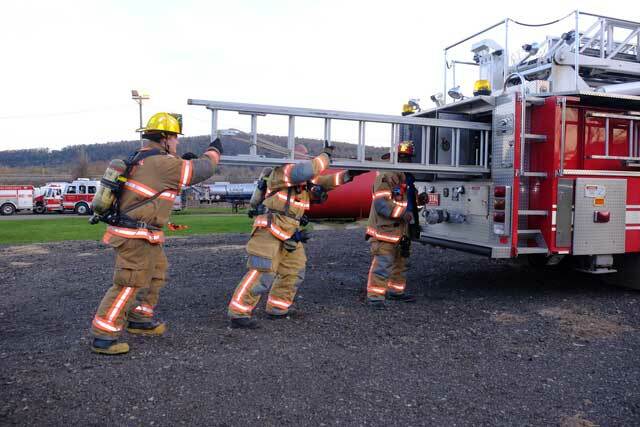 Once the rescuer reach the victim; the rescuer will use the Sling to pull the victim onto the RDC. 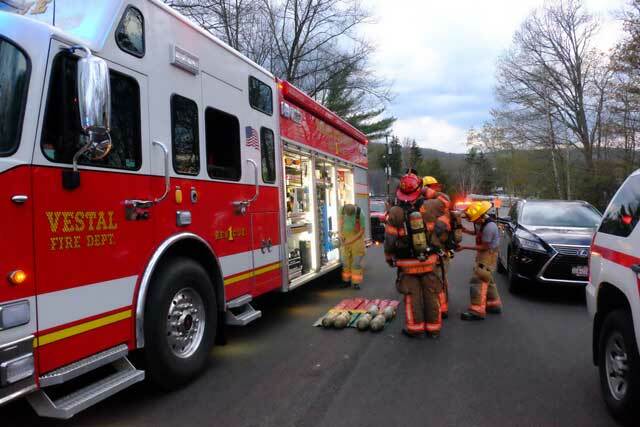 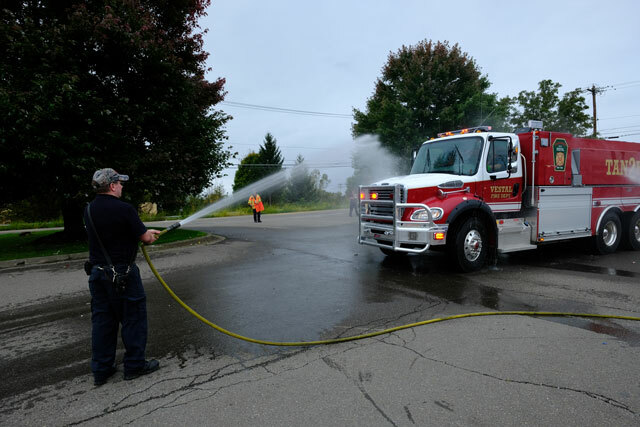 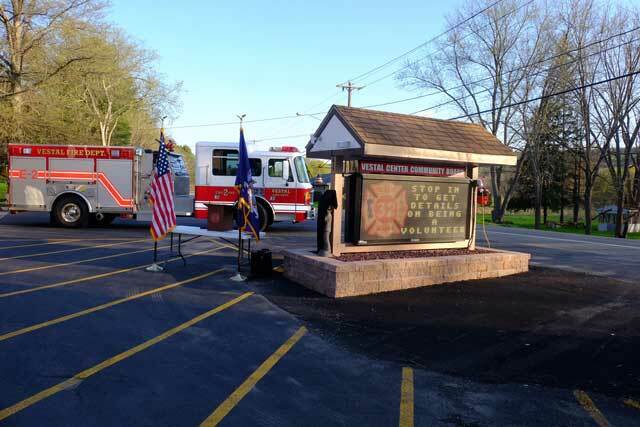 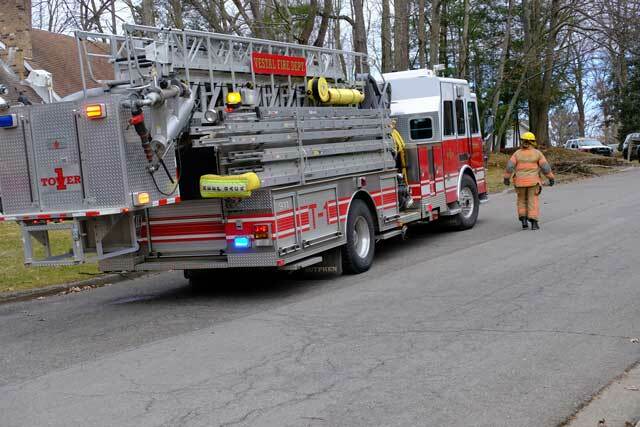 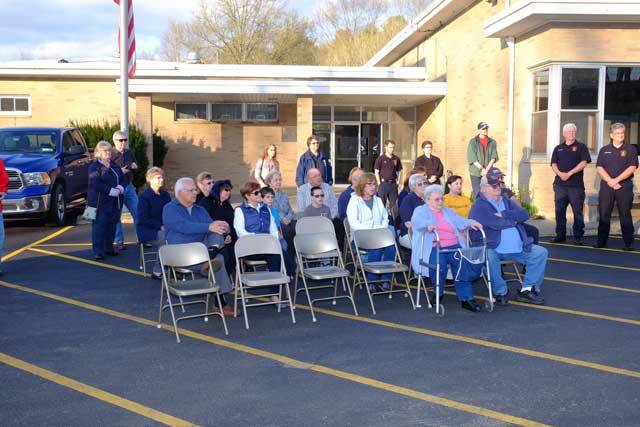 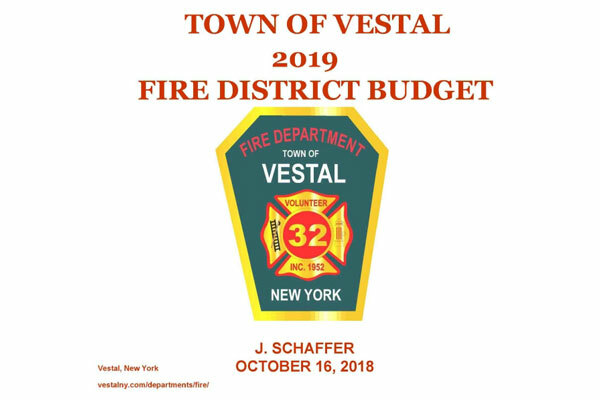 On Tuesday, October 16th, a public hearing was held at the Town Hall presenting the 2019 Vestal Fire District Budget. 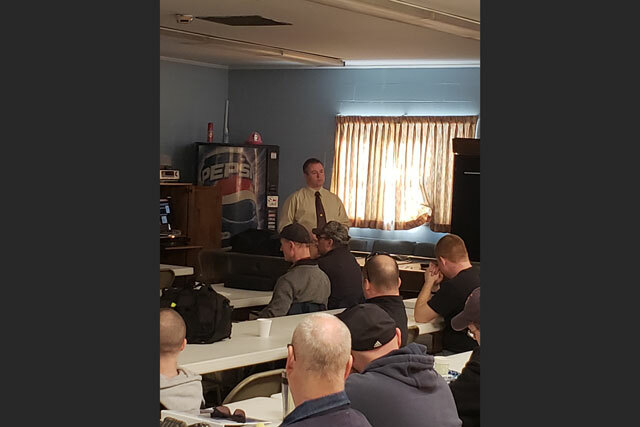 Click here to view the presentation. 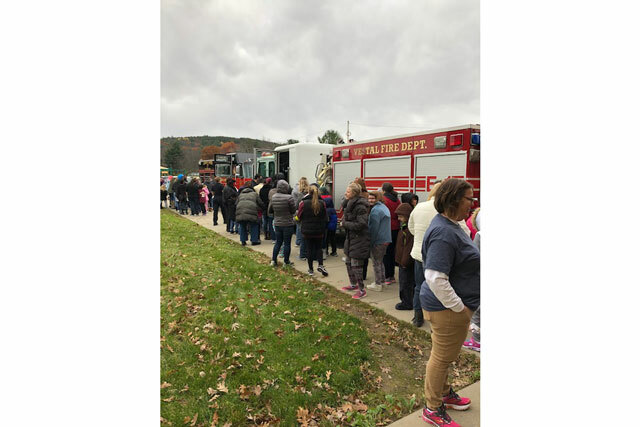 Vestal Fire Prevention completed another round of fire prevention activities with the various schools within our district along with some outside of our district. 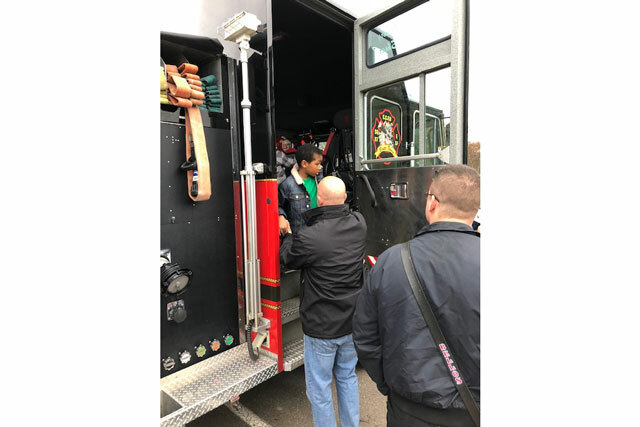 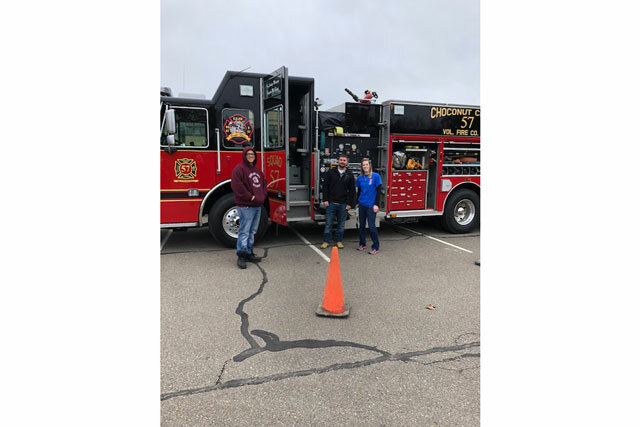 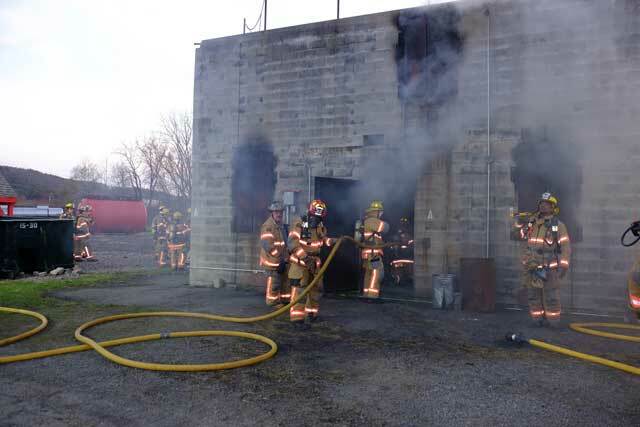 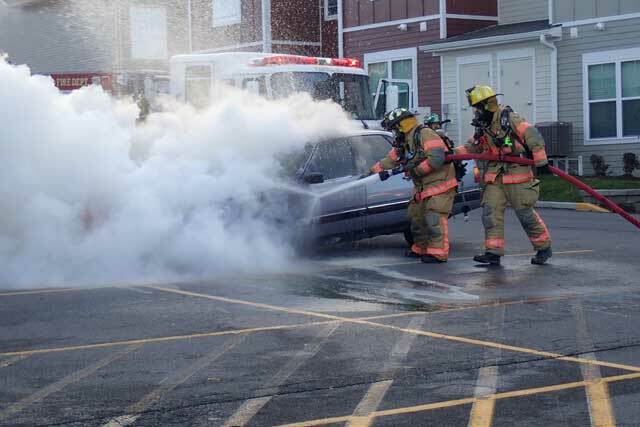 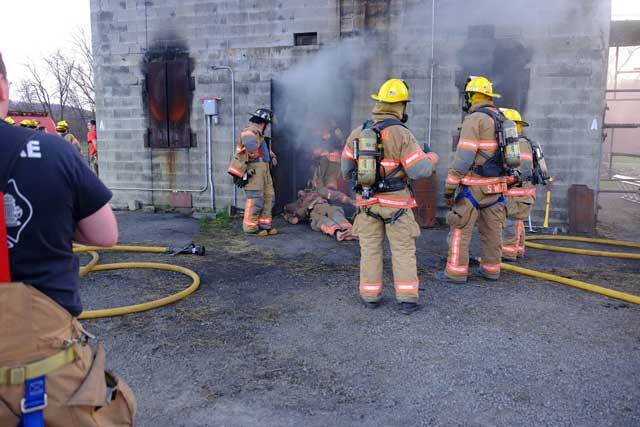 Here are some pictures of a recent Fire Prevention activity held at BOCES with our Brothers and Sisters from Choconut Center Fire Department! 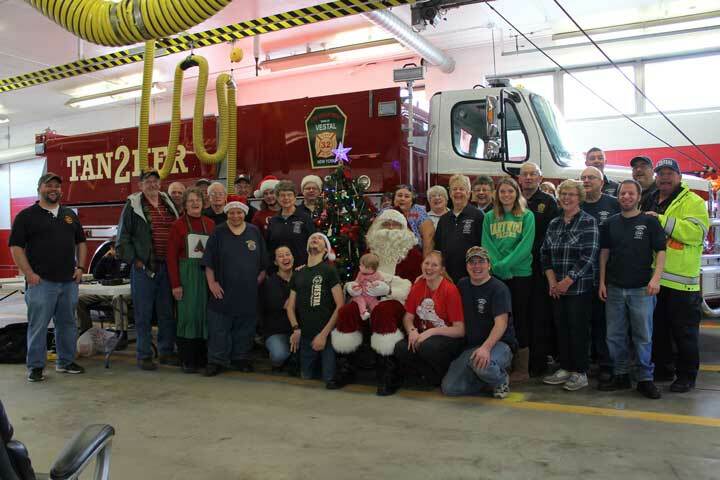 Station #2 would like to thank all that came out and supported our Breakfast with Santa fundraiser. 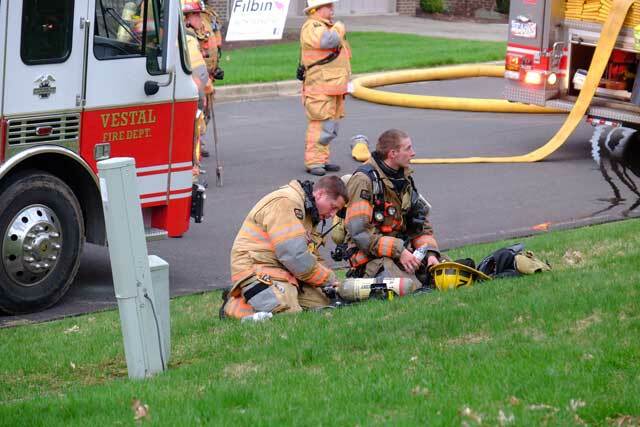 It is Greatly Appreciated! 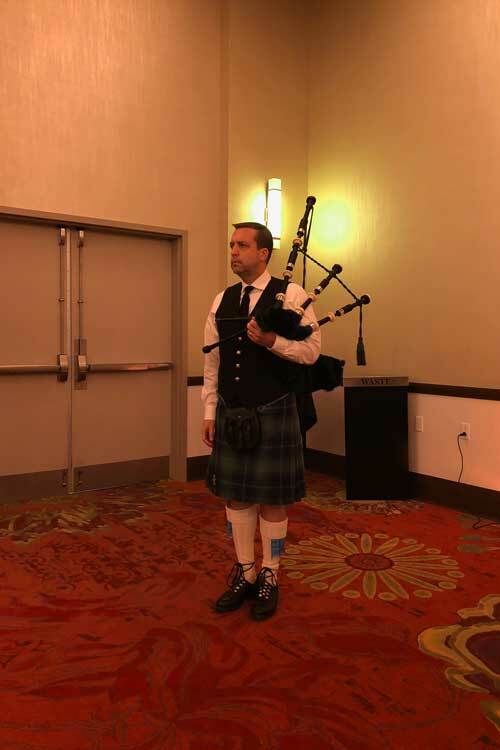 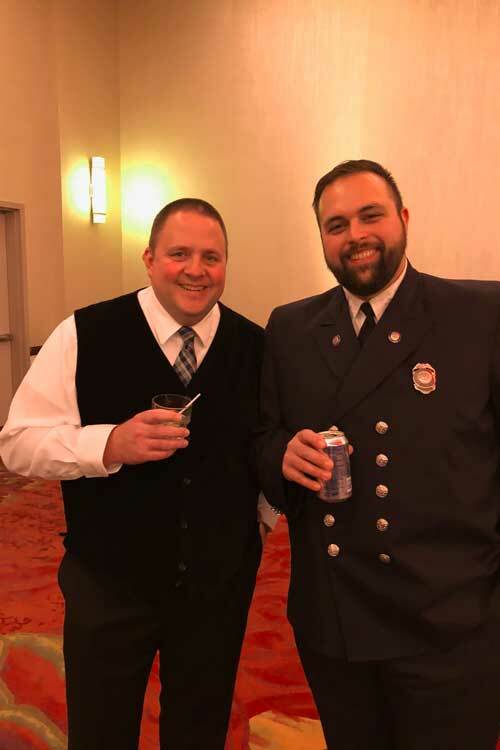 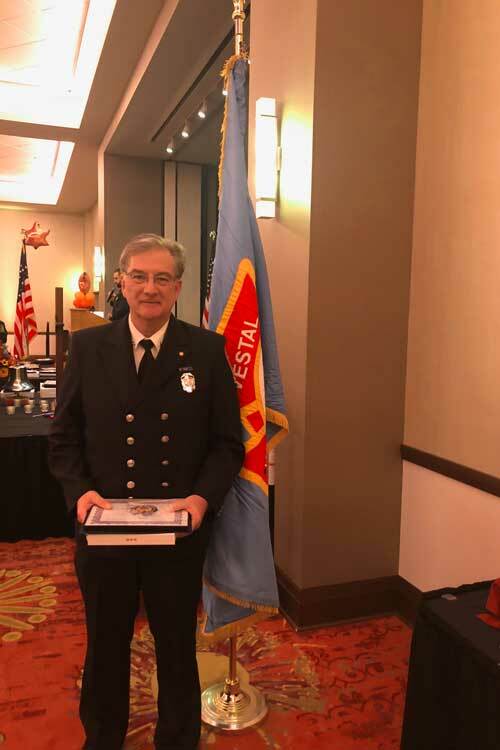 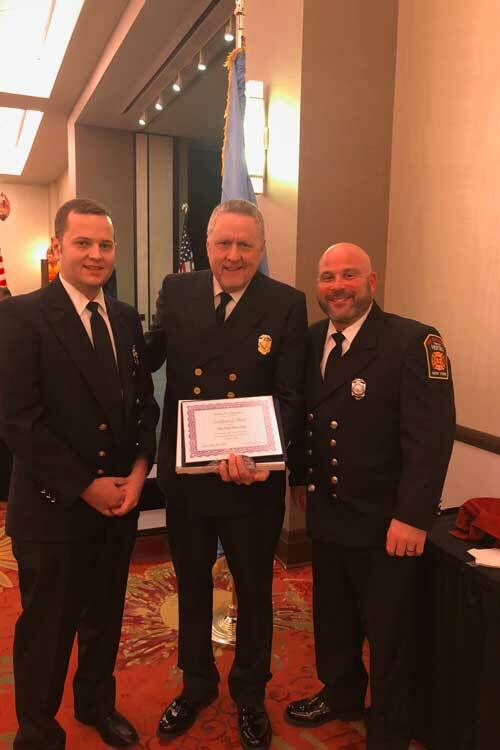 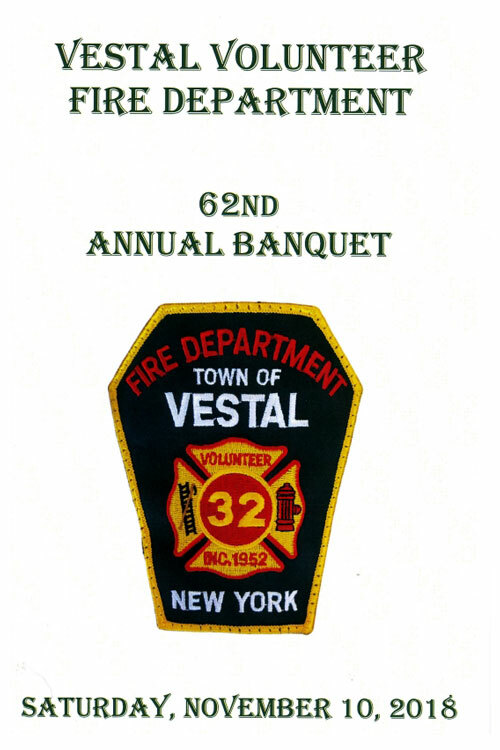 The 2018 Vestal Fire Departments 62nd annual award dinner was held on November 10th honoring those members that had passed this year, along with our members who have reached service milestones. 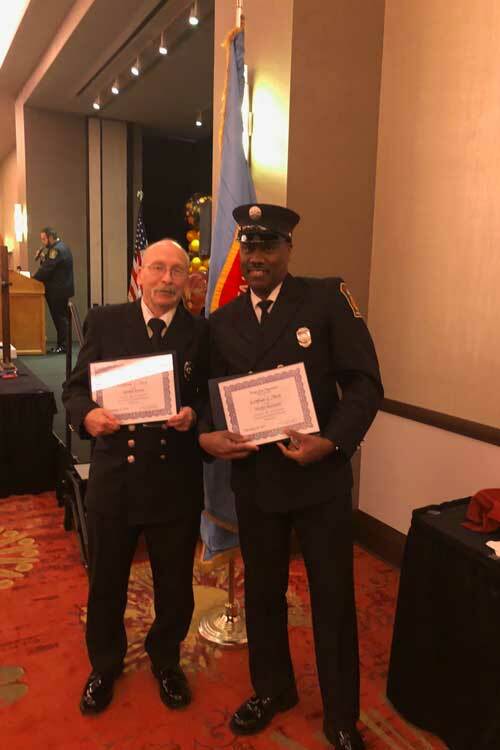 A special Thank You goes out to our current Station #1 Fire Police Lieutenant, Gene Wagner, who was awarded for 55 years of service, and to past chief Chris E. Lupold, for 50 years of Service. 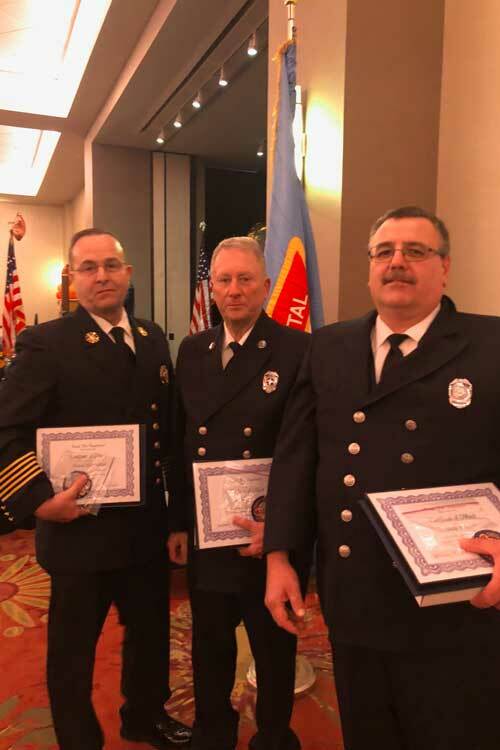 Congratulations to all that received awards! 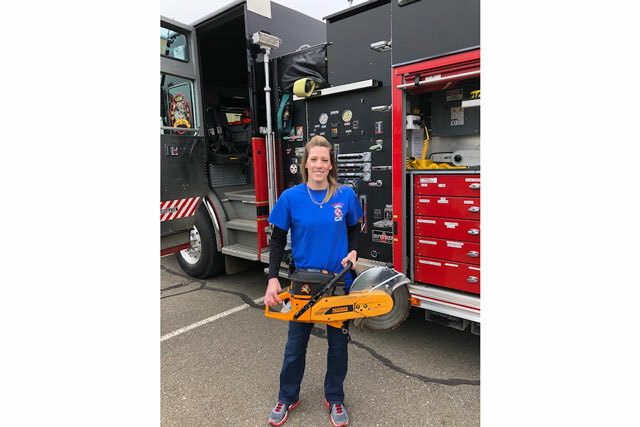 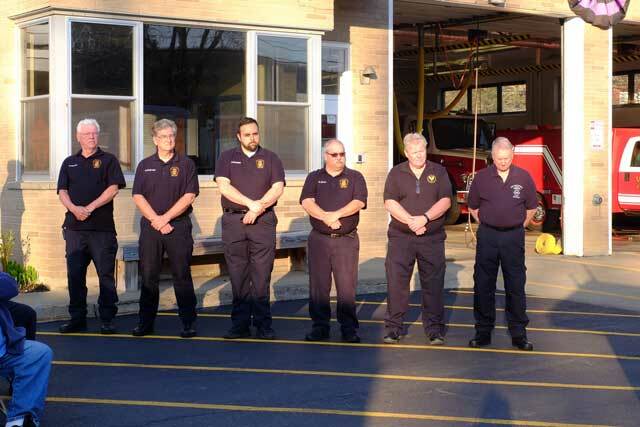 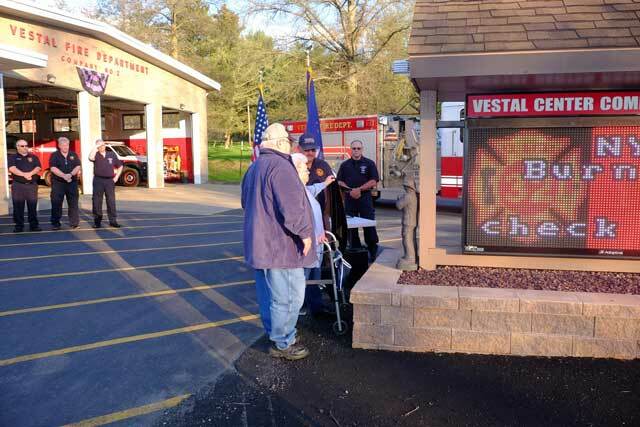 The Vestal Fire Department greatly appreciates your dedicated years of service! 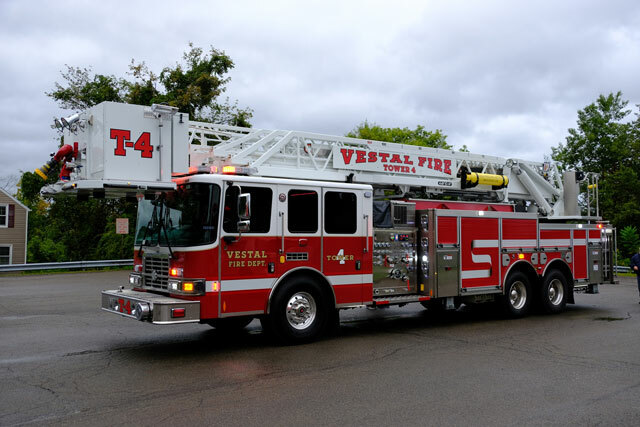 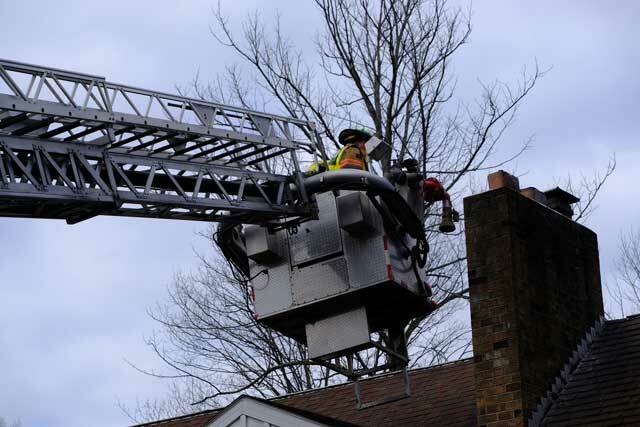 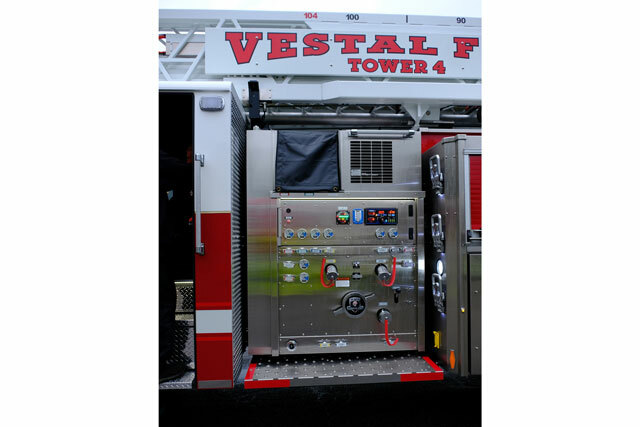 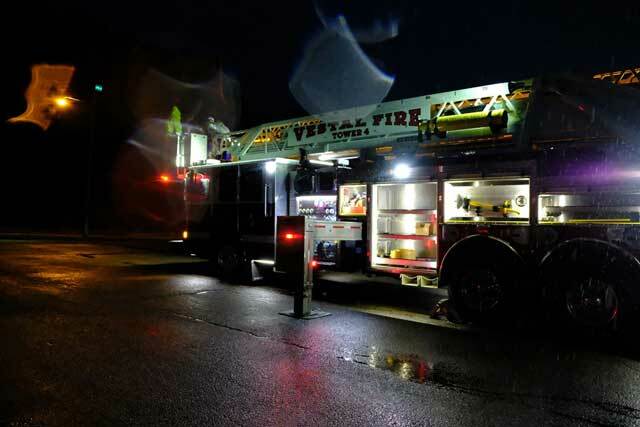 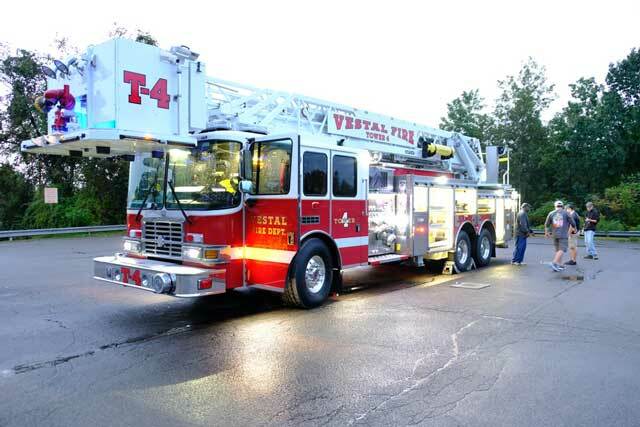 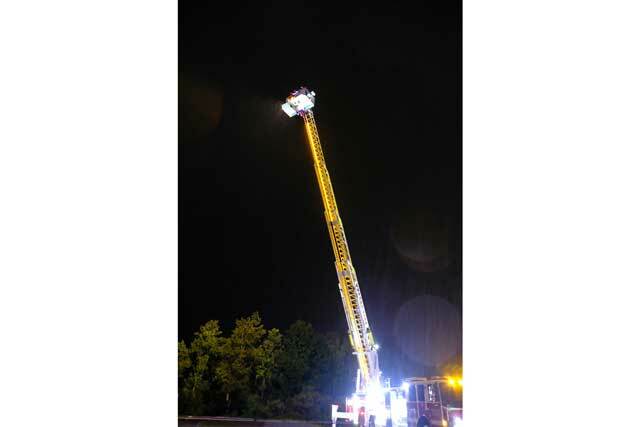 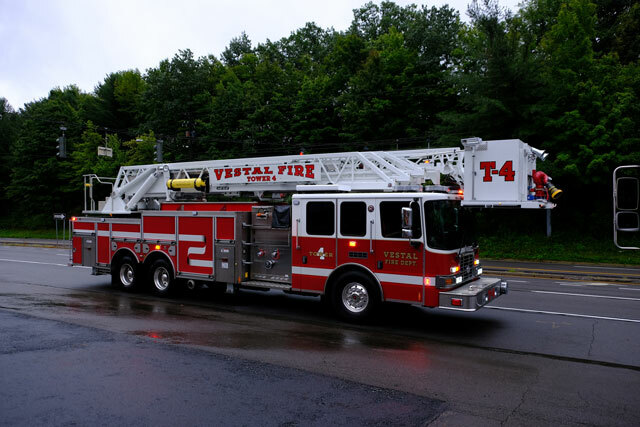 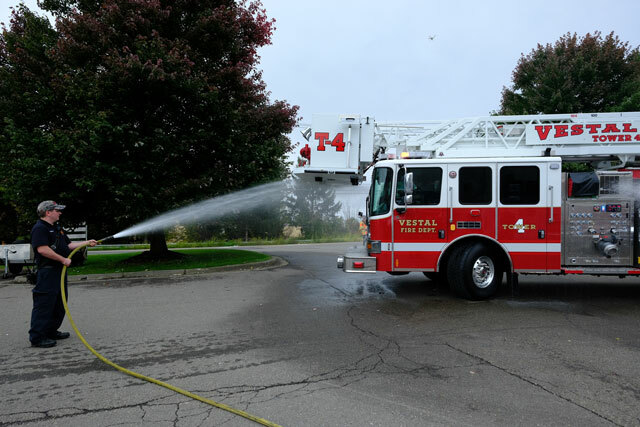 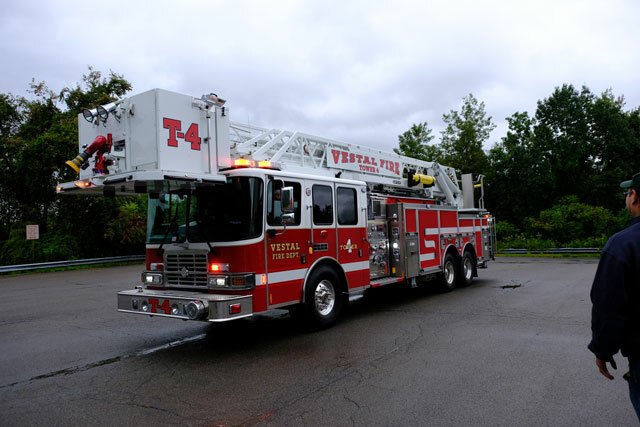 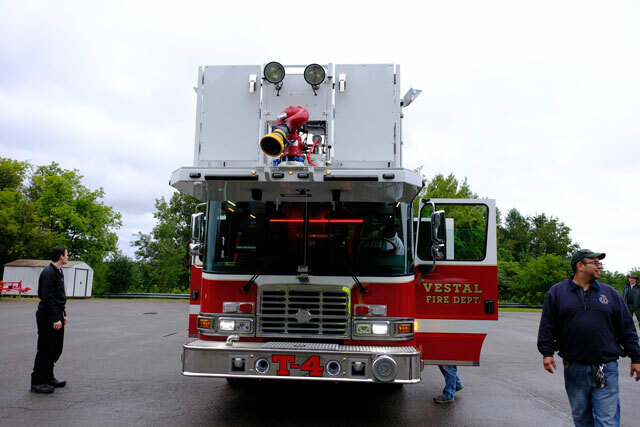 On September 10th, Vestal Fire Department took delivery on its new Tower Apparatus (Tower 4). 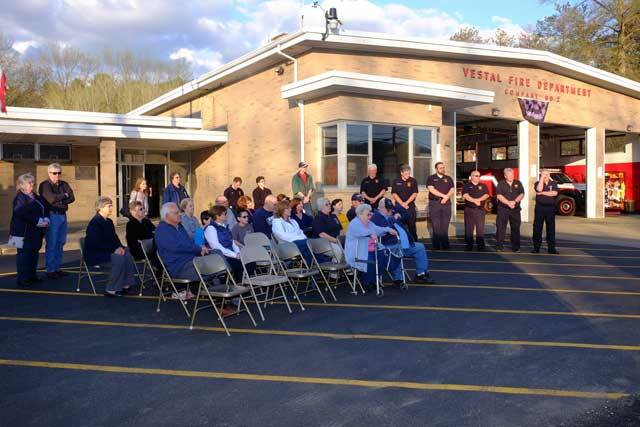 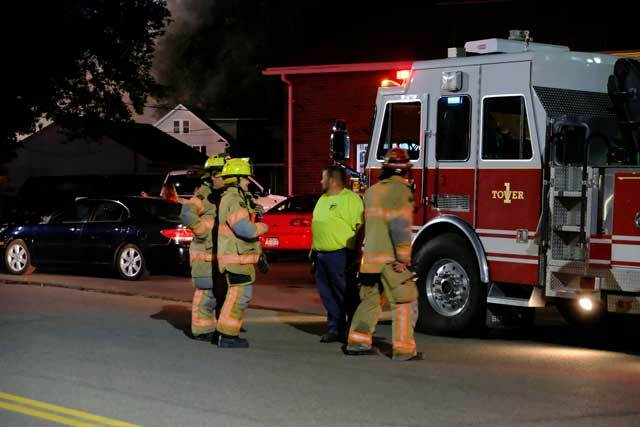 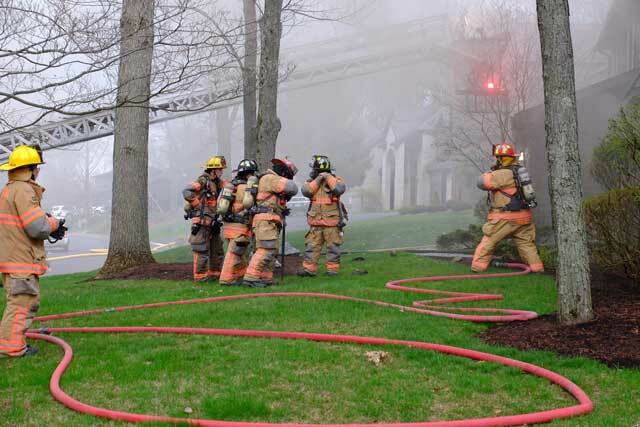 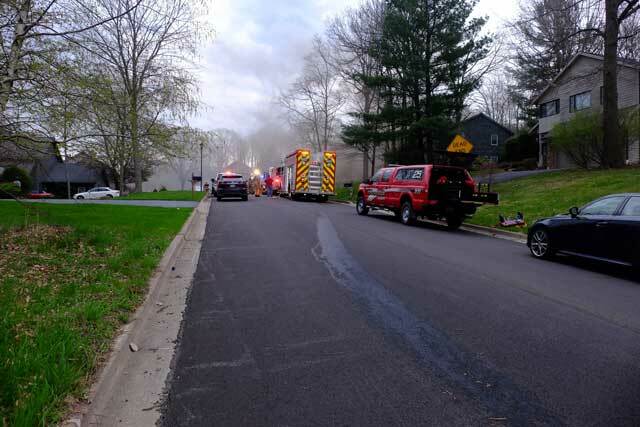 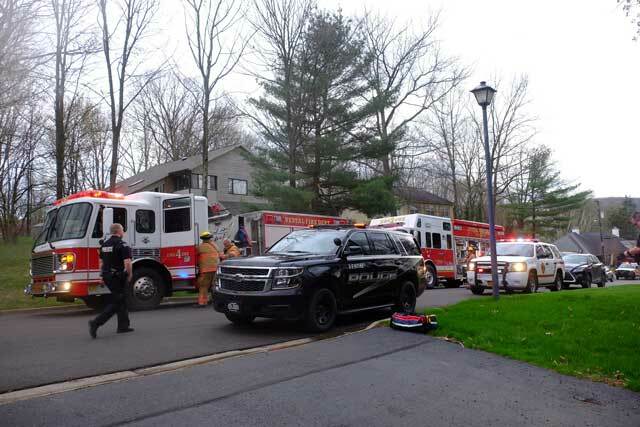 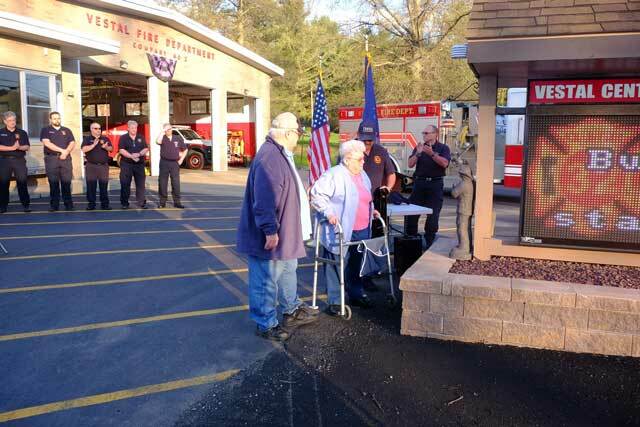 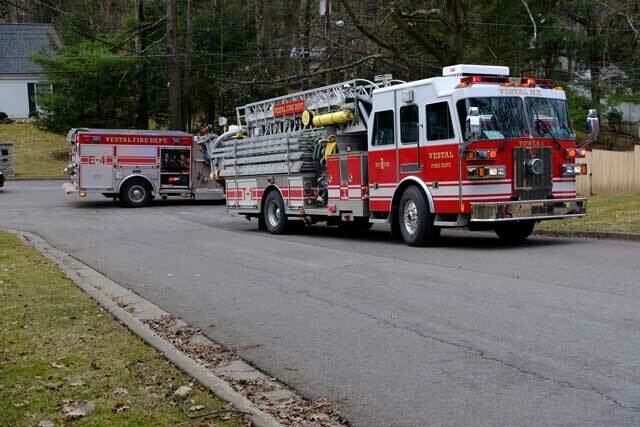 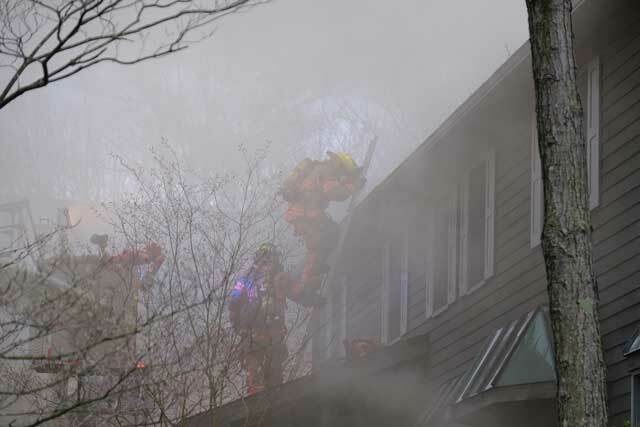 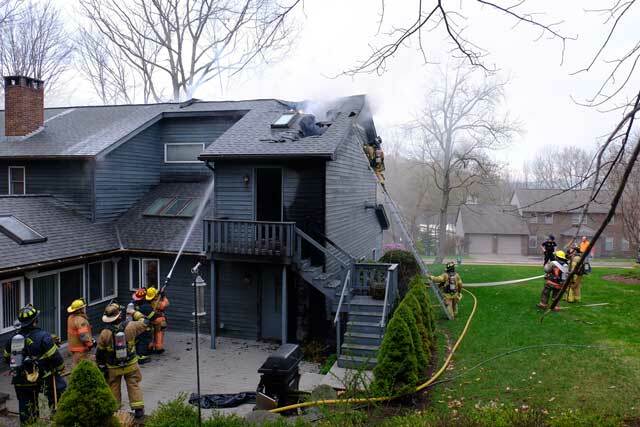 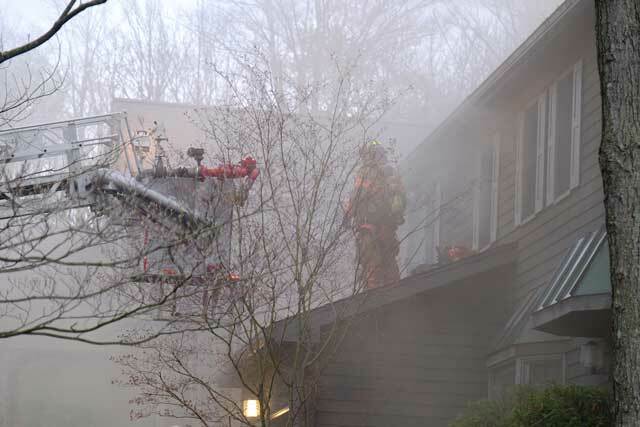 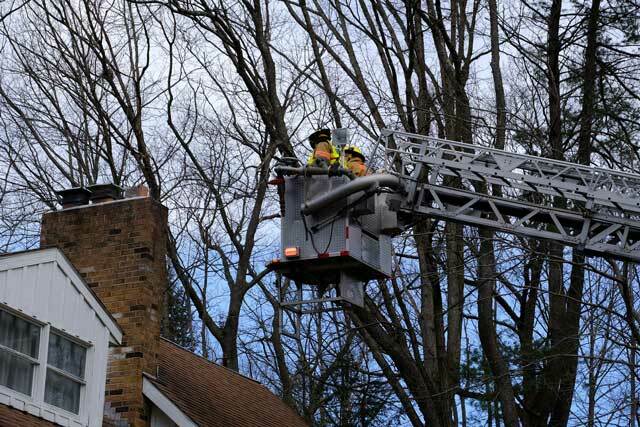 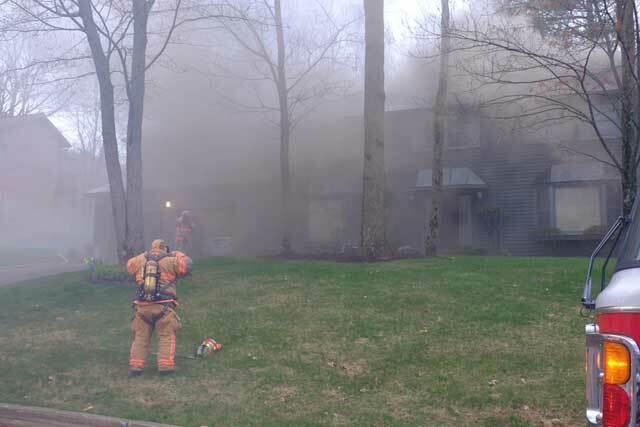 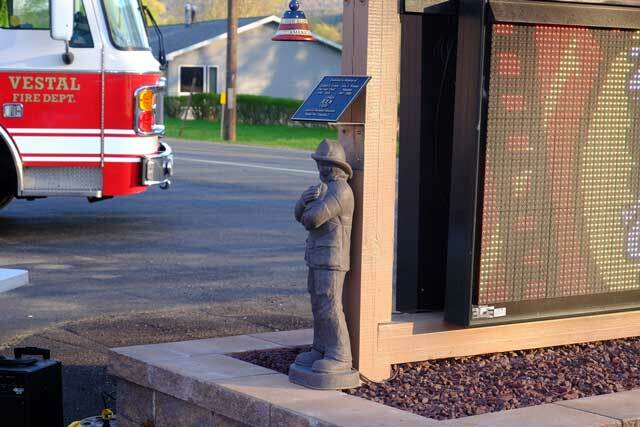 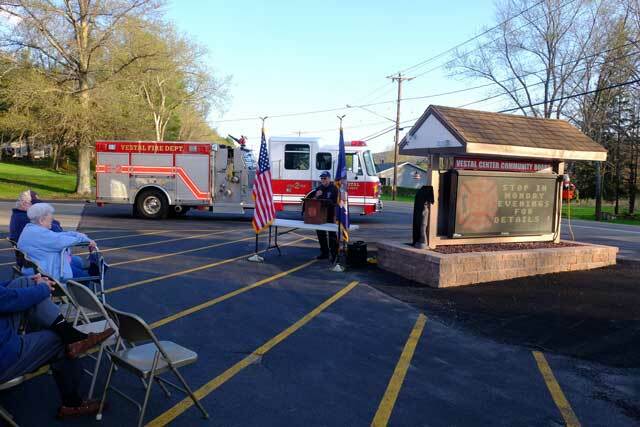 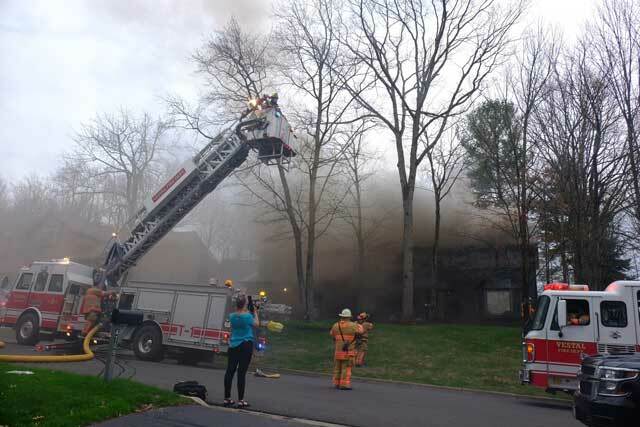 Vestal Fire gives a big Thank You to our residents once again for your support! 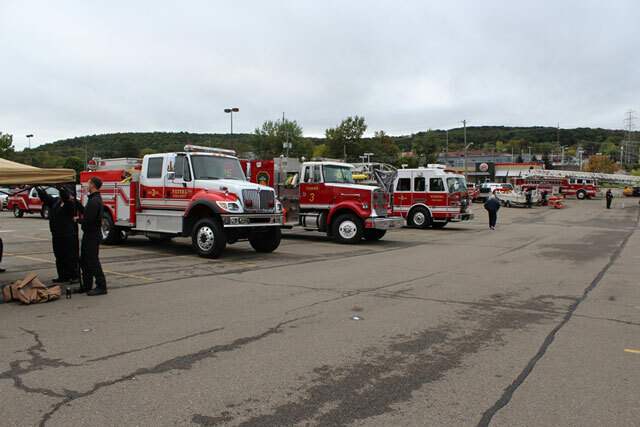 This year’s fire expo was a huge success! 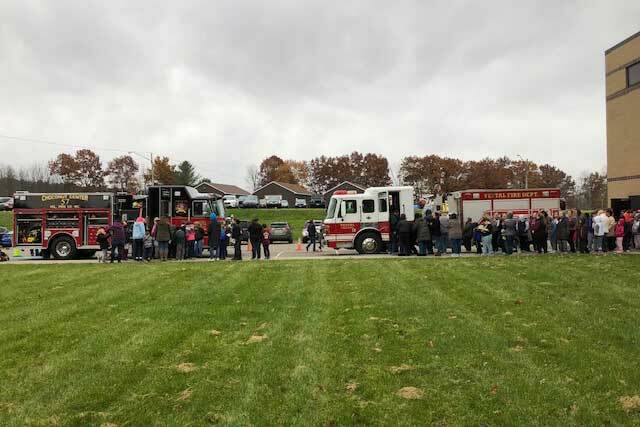 Despite the rain shower, we had a great crowd and awesome demonstrations! 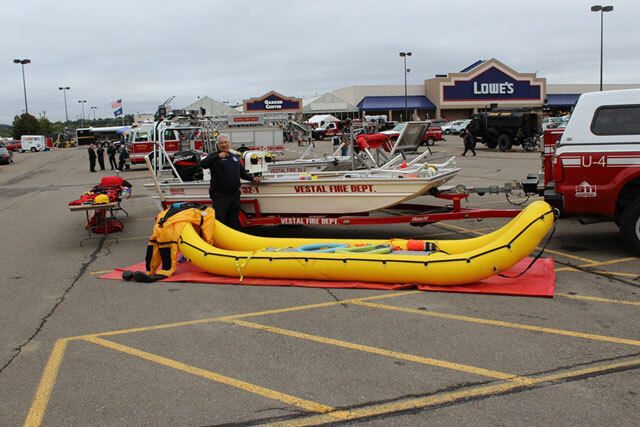 Thank You Lowes once again for the use of your parking lot, and thanks to all the agency’s, vendors, and volunteers that showed up and gave their time to make it such a success! 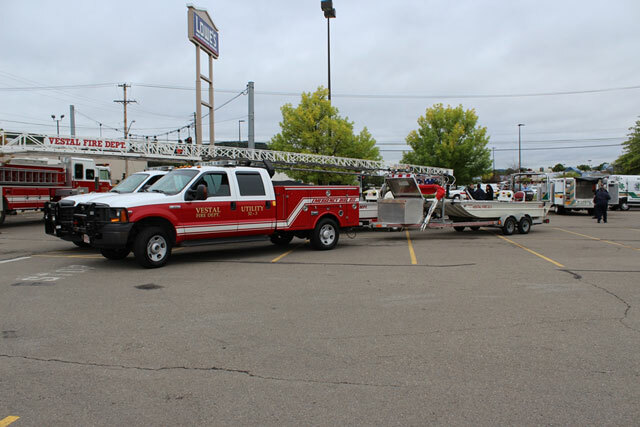 Here are a few pictures from this year’s expo! 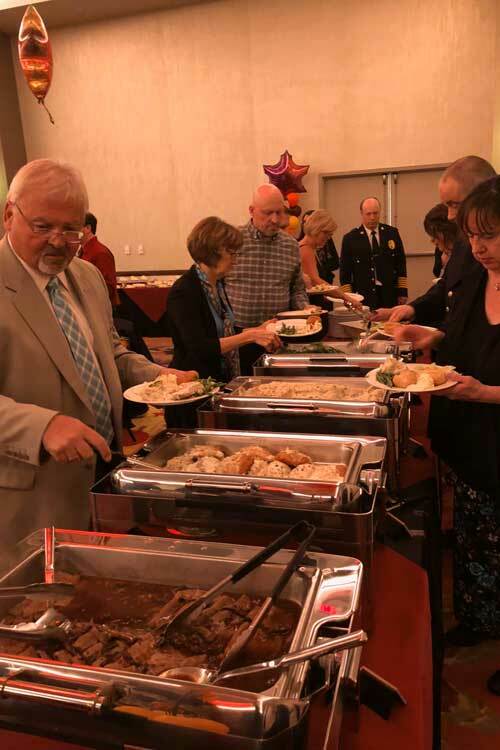 Click Here - To view our expo album on Facebook! 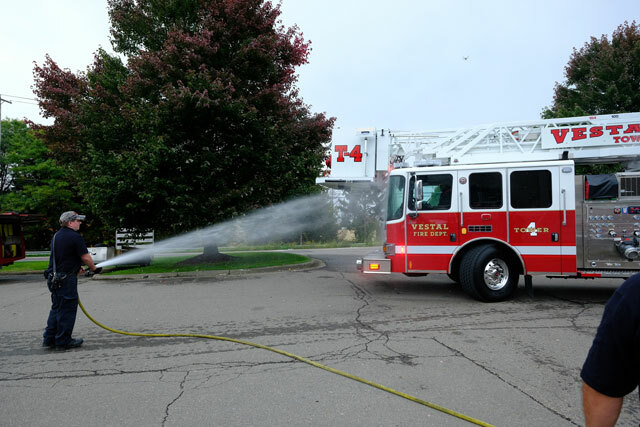 Tower 4 and Tanker 2 were initiated! 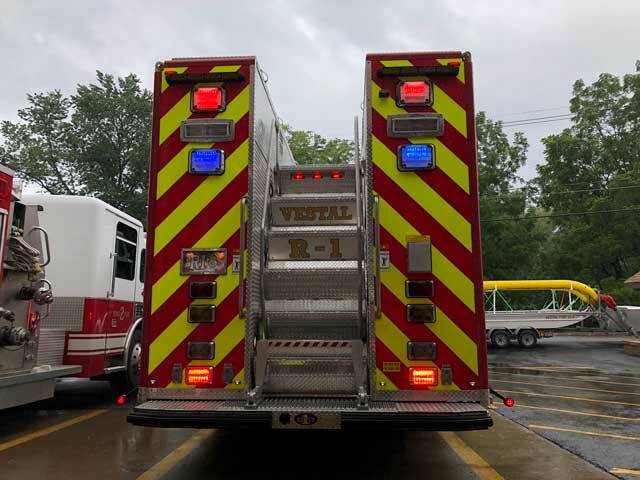 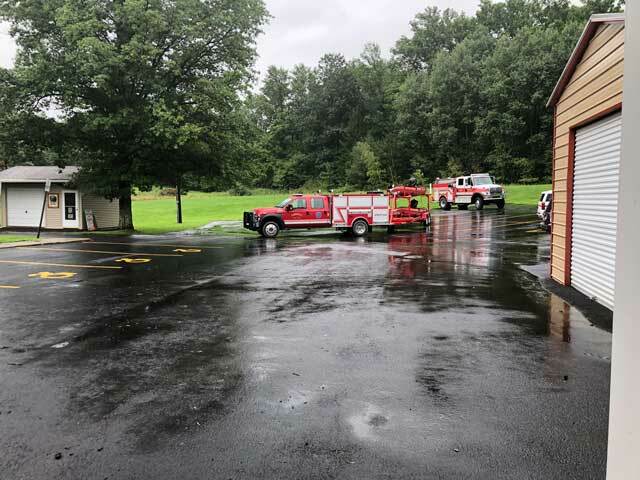 Vestal Fire welcomed our two newest pieces of apparatus at the expo this past Saturday doing the “Wet Down” ceremony initiating new equipment into the department. 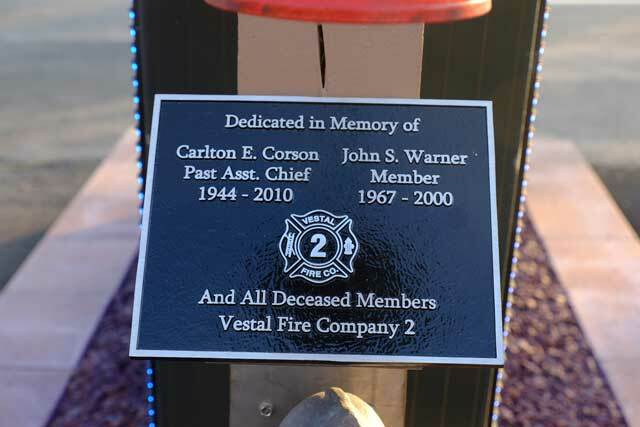 Tower 4 and Tanker 2 were initiated! 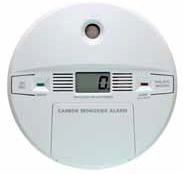 The Heating season is upon us. 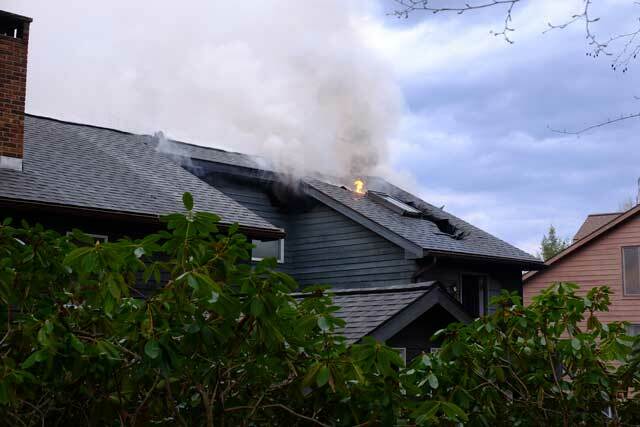 Please be careful when using alternate home heating methods. 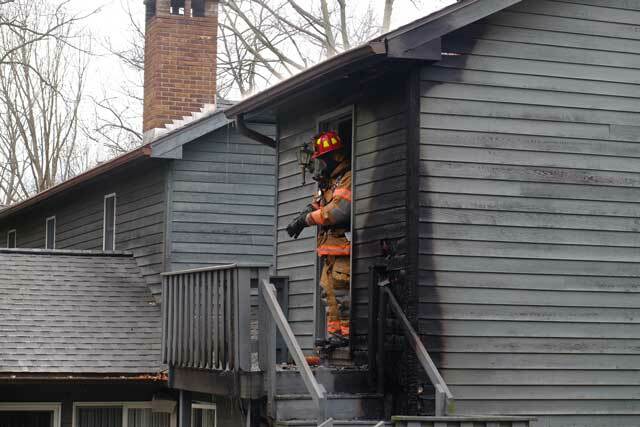 Here are some Home Heating Safety Tips! 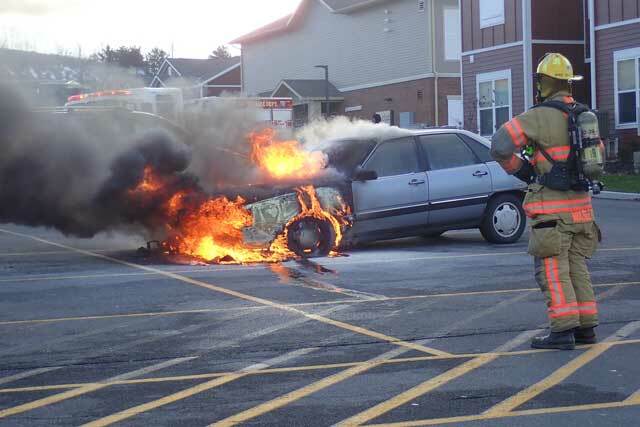 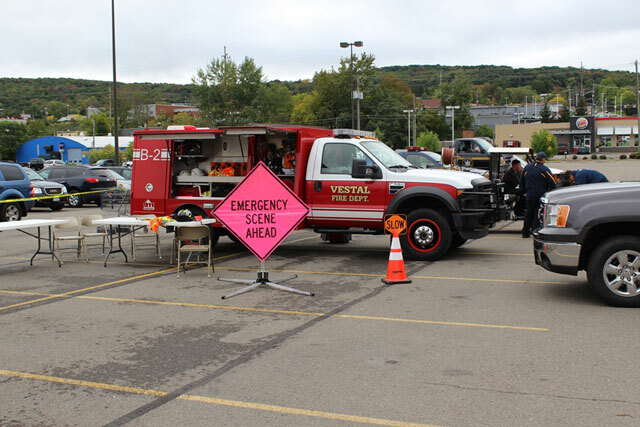 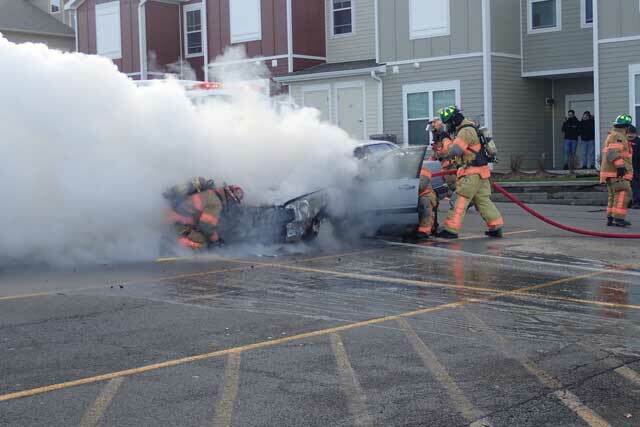 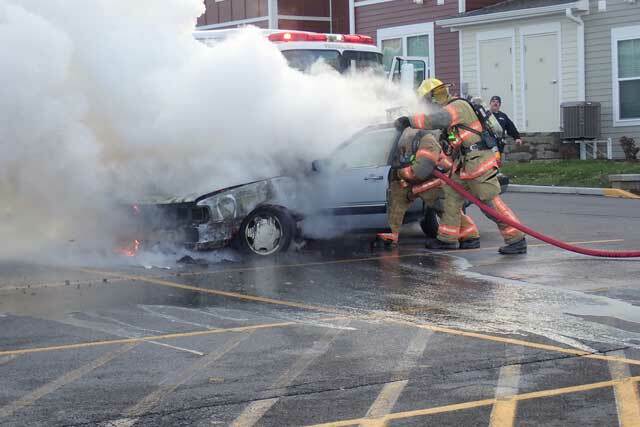 Vestal Fire Safety Expo, Saturday October 6th, from 10am – 2pm at the Lowes Parking Lot. 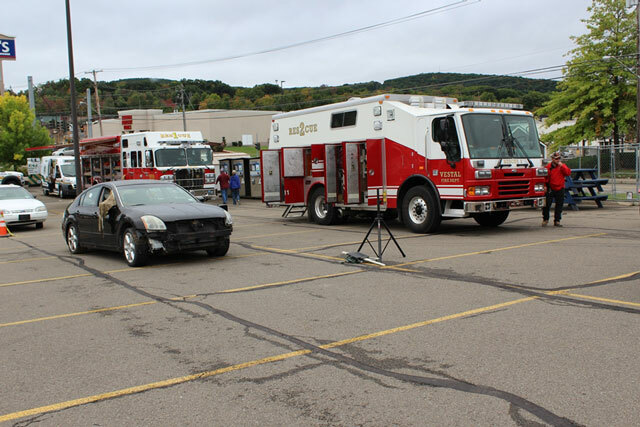 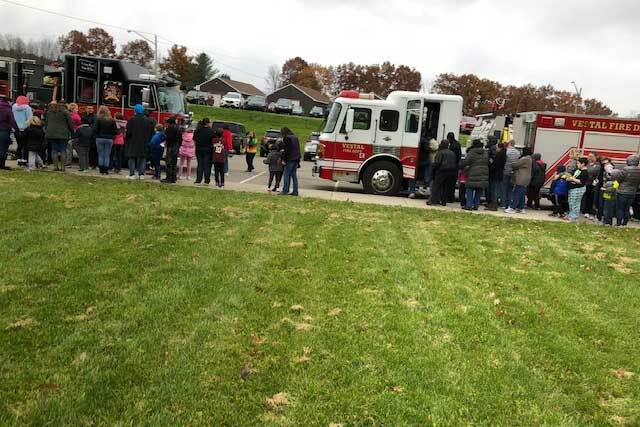 Fire Trucks, Police Cars, Safety Demonstrations, Exhibits. 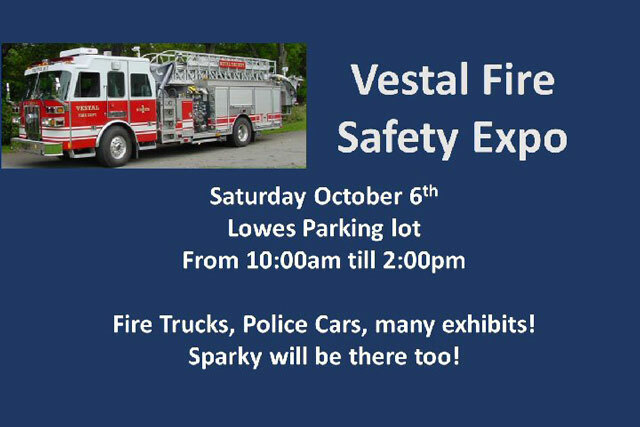 Even Sparky will be there! 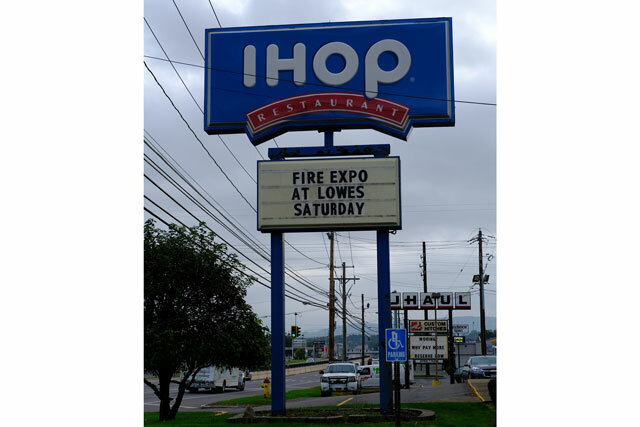 Stop down and check it out! 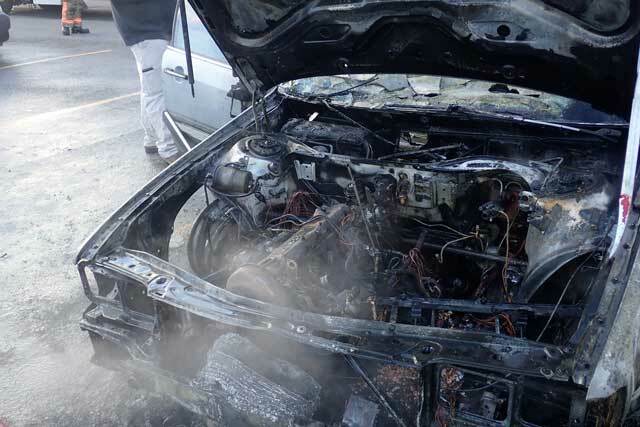 Have you changed your battery’s lately? 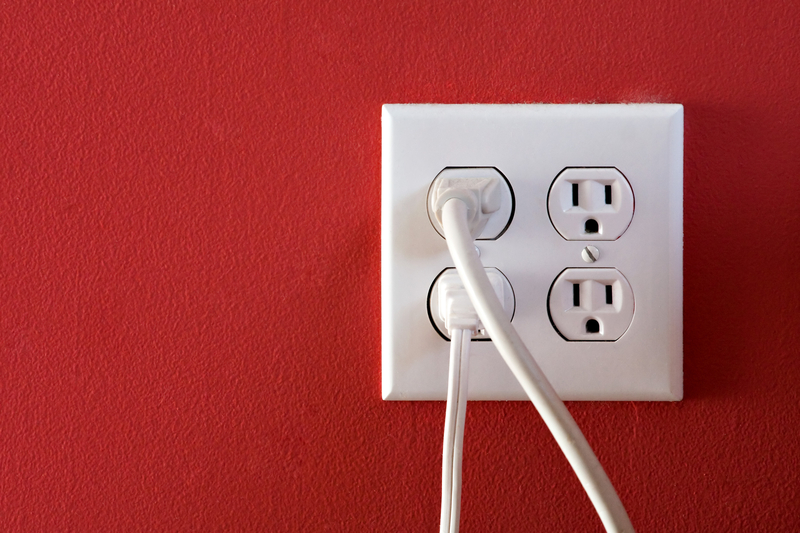 You should be changing every 6 months. 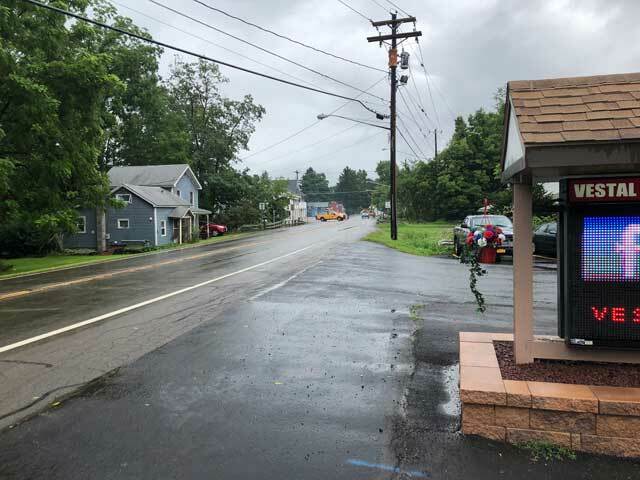 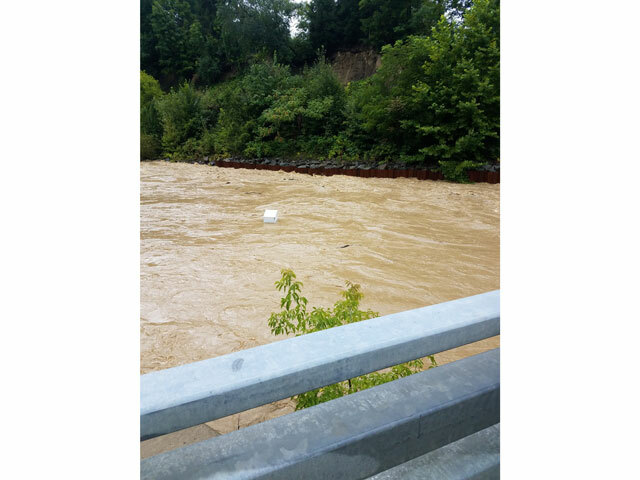 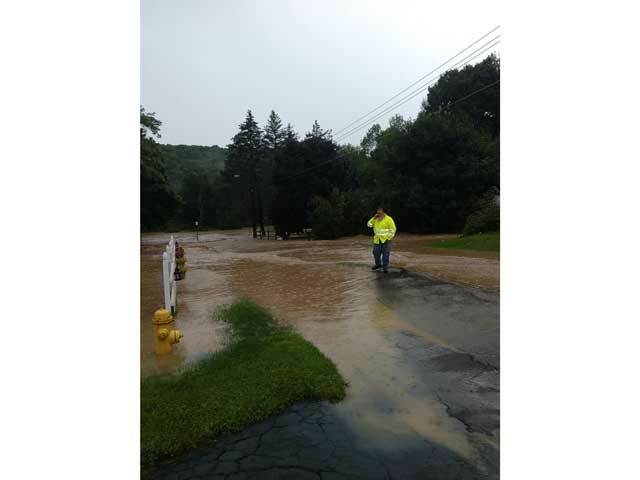 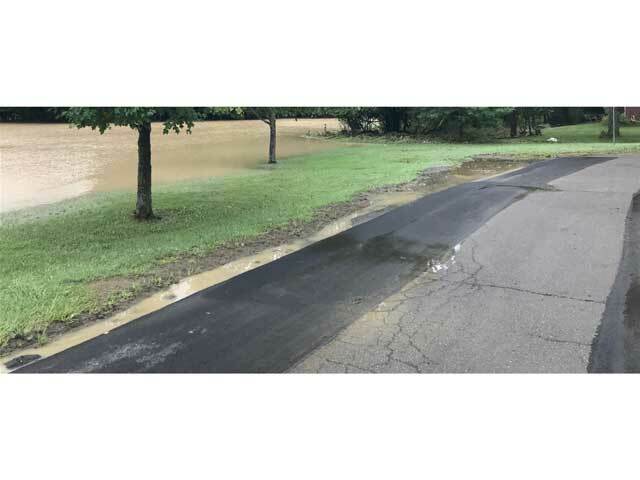 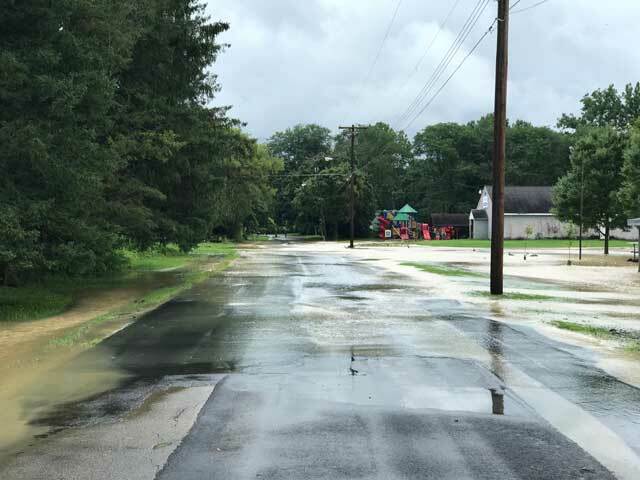 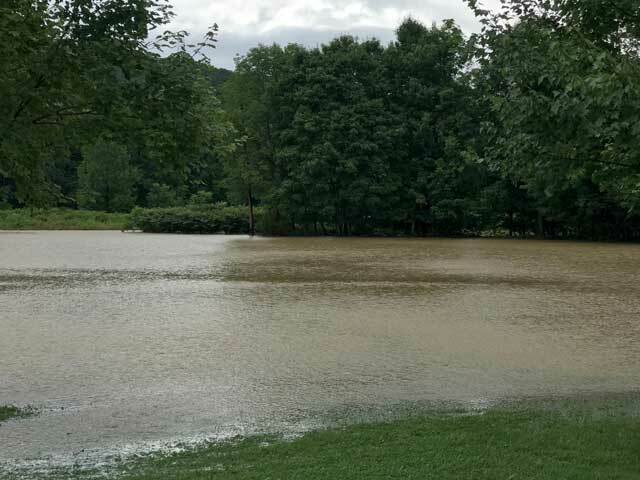 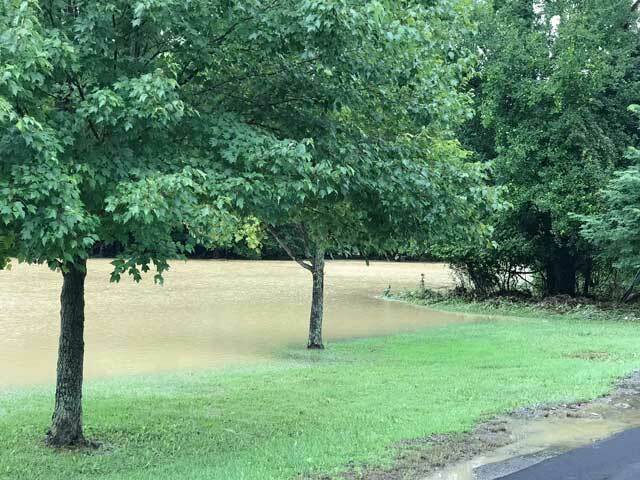 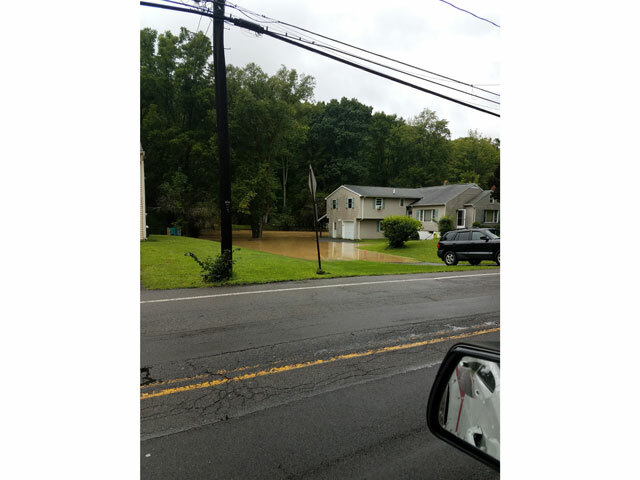 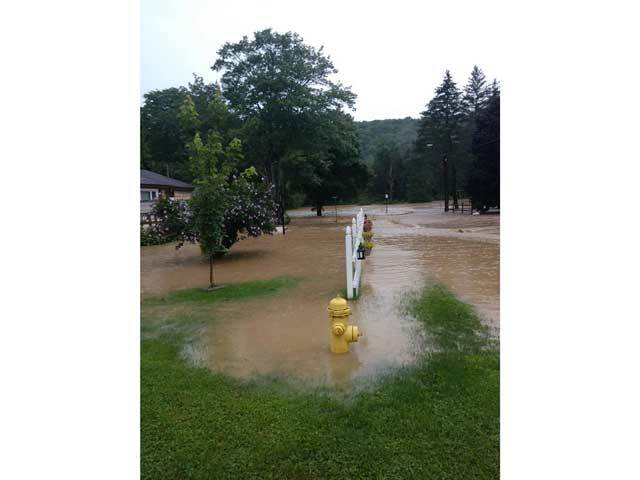 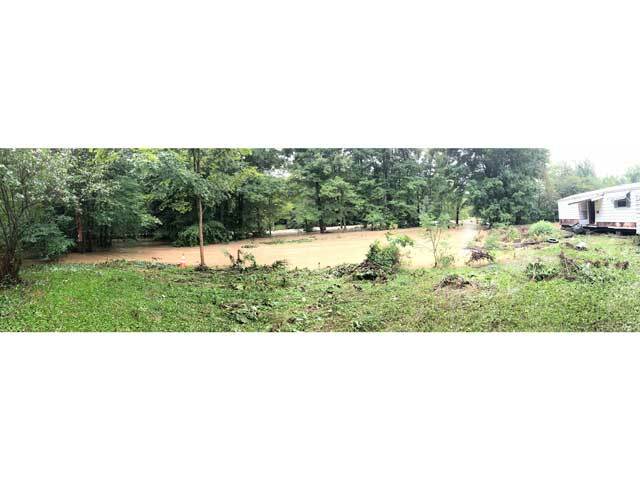 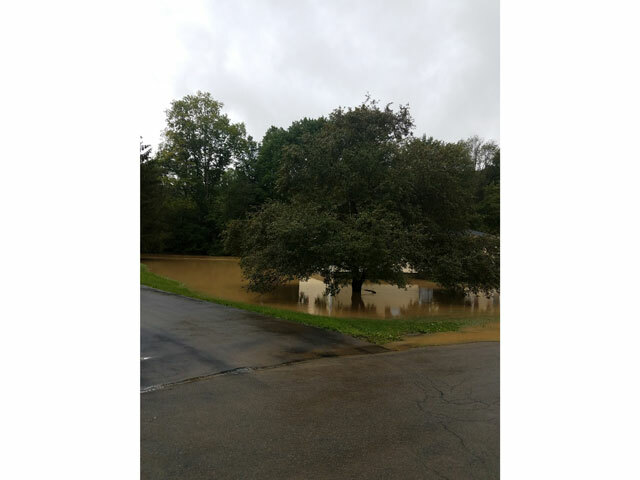 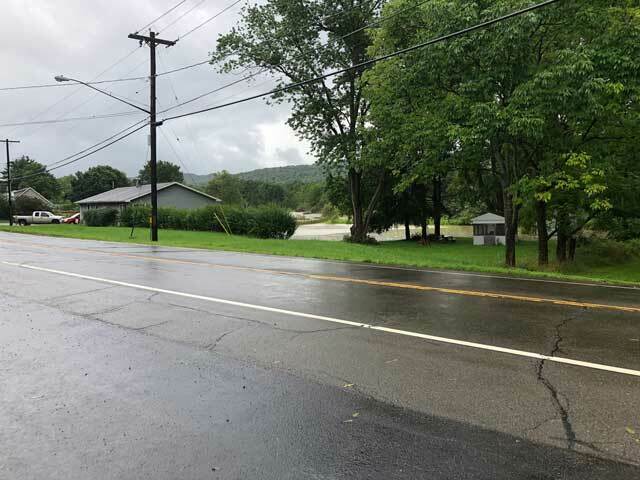 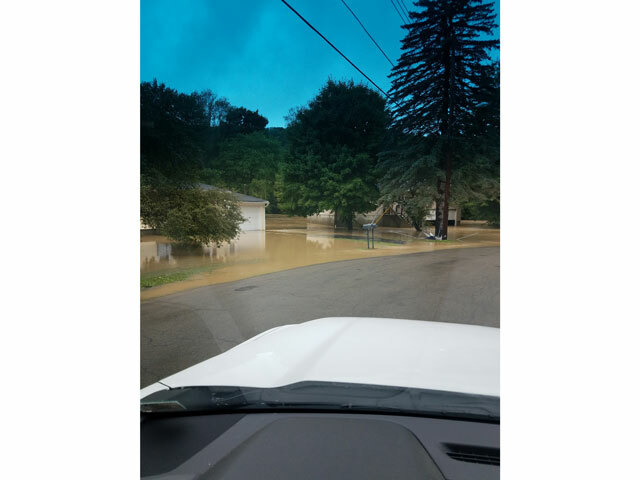 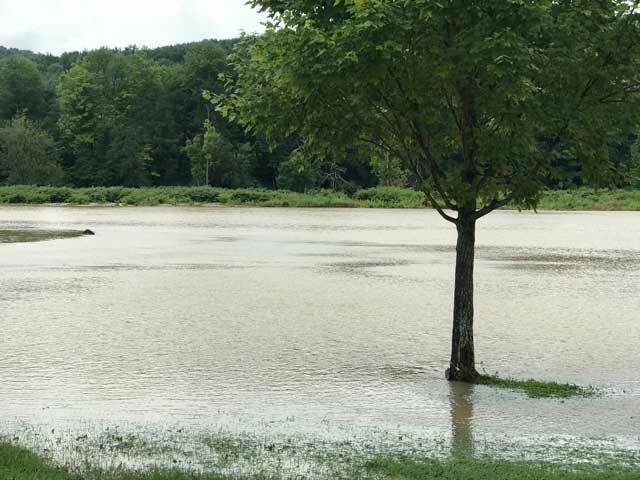 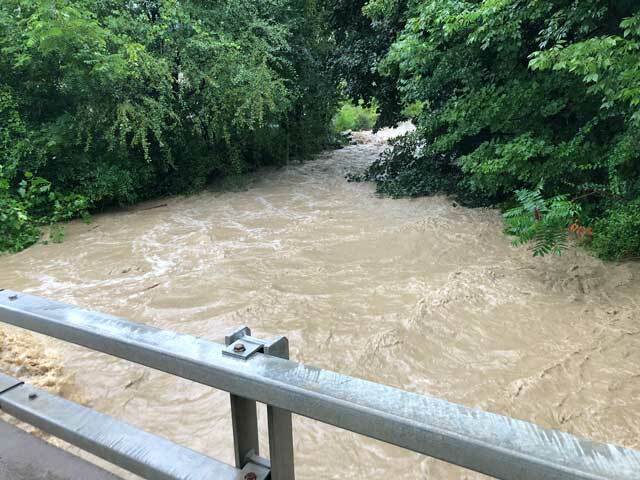 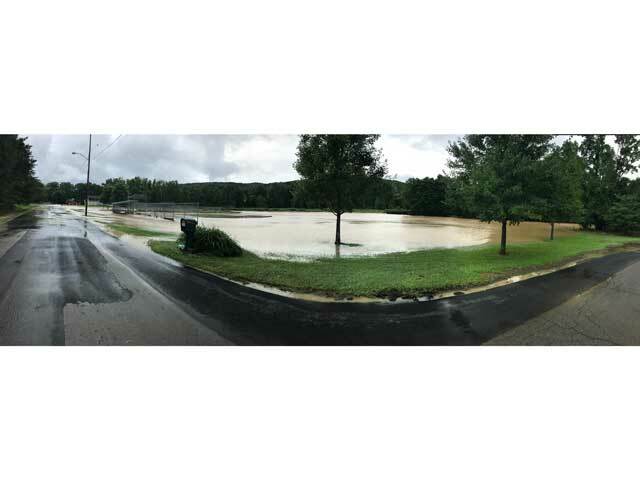 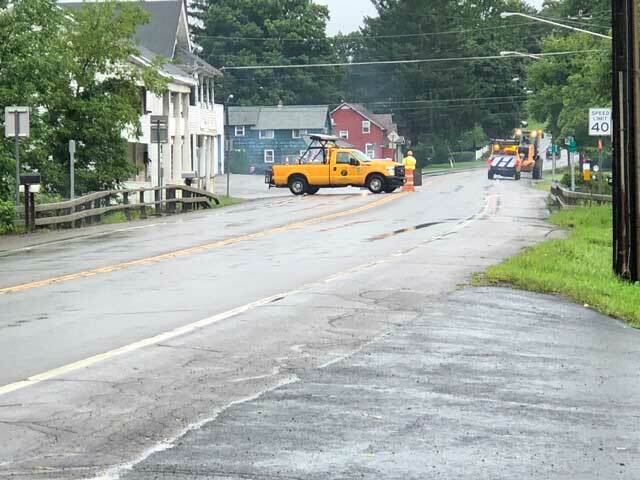 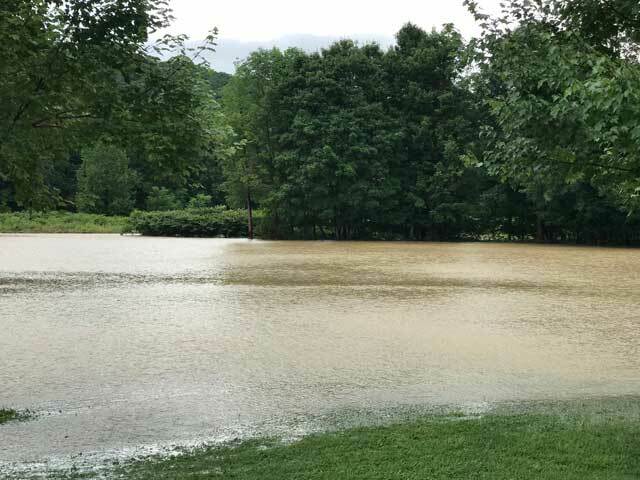 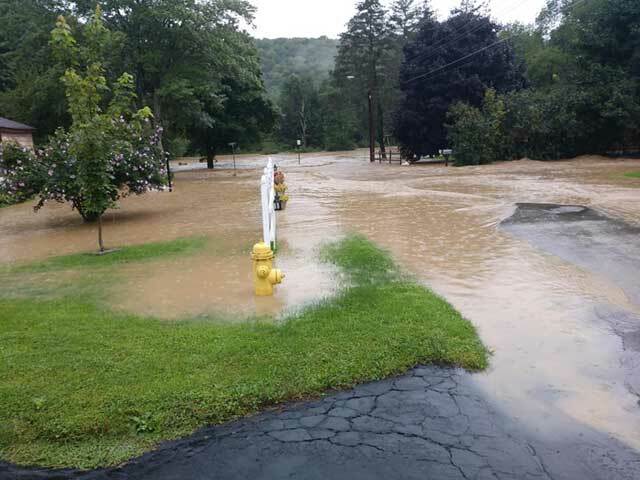 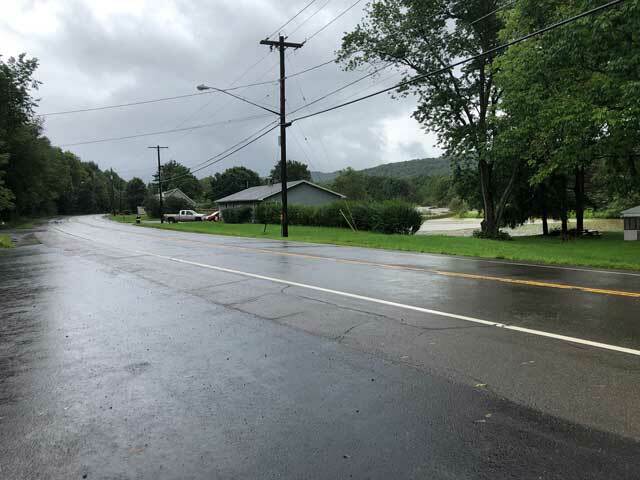 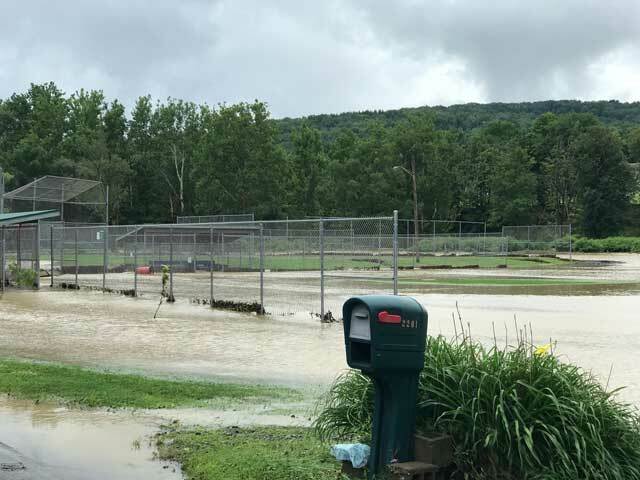 In the morning hours of August fourteenth, flash flooding hit South Vestal and Vestal Center. 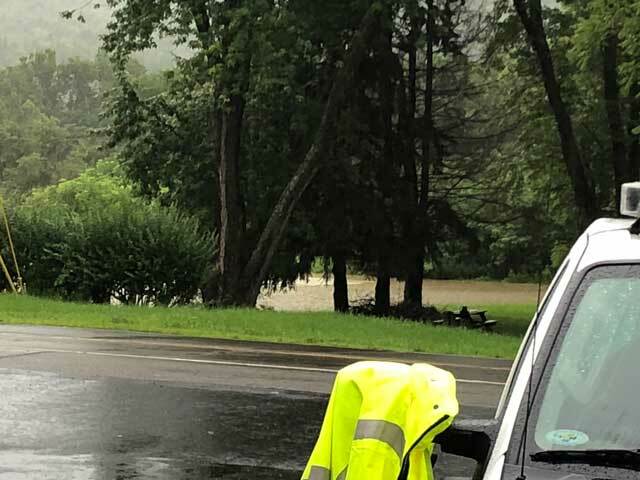 In monitoring the Choconut creeks level gauge in Choconut, and the degrading weather conditions, Vestal Fire went into emergency operations mode and went into stand by, activating our Emergency Operation center and Division Operation centers and answering numerous calls throughout the morning. 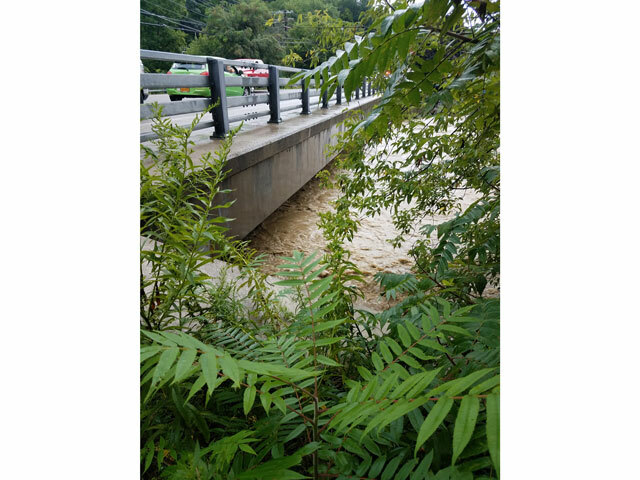 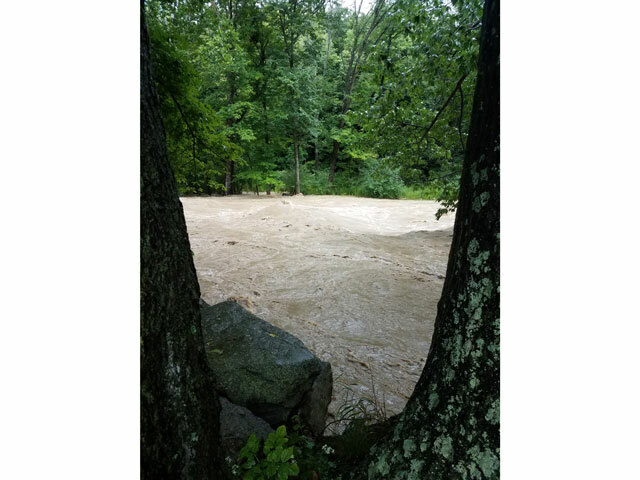 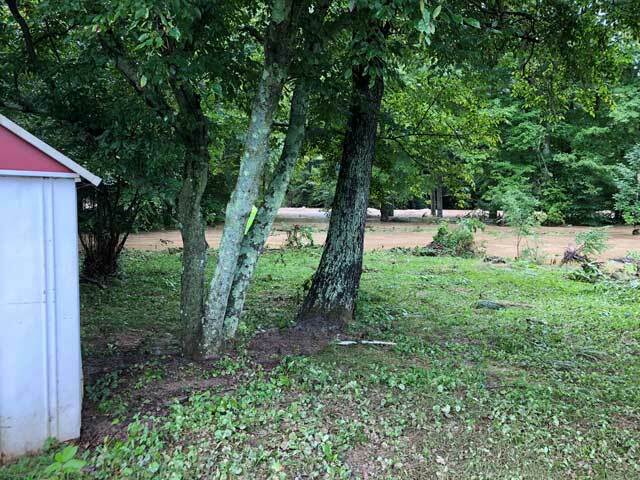 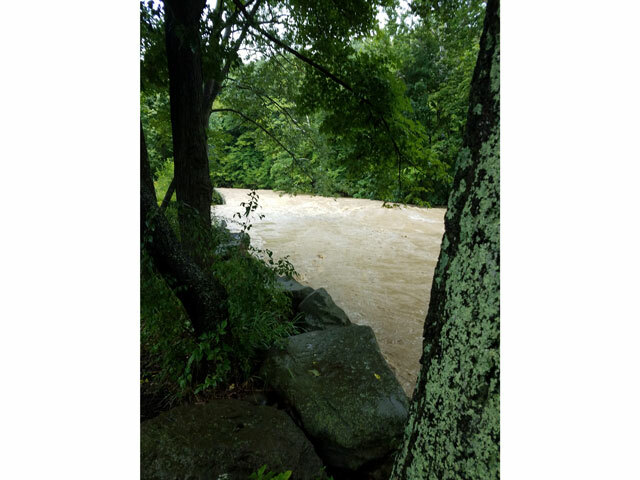 Once again that evening we went back into stand by activating the EOC and DOC’s once again as the Choconut creek went above flood stage once again. 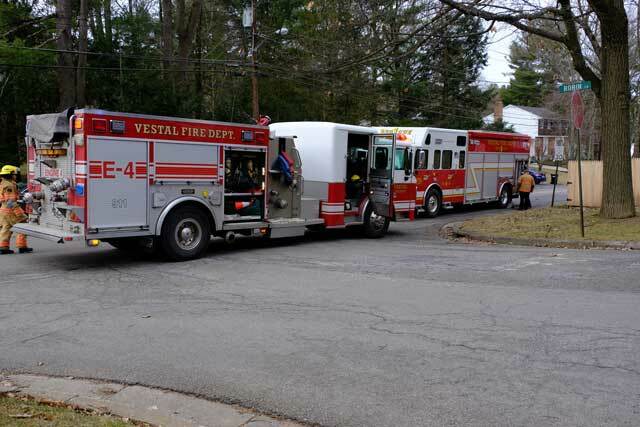 Thankfully, it wasn’t as serious as the mornings event. 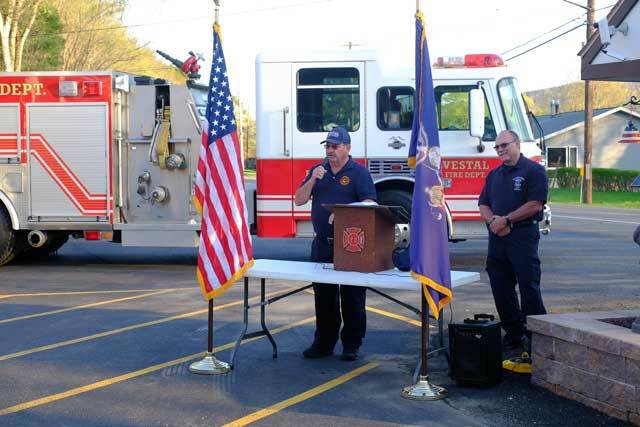 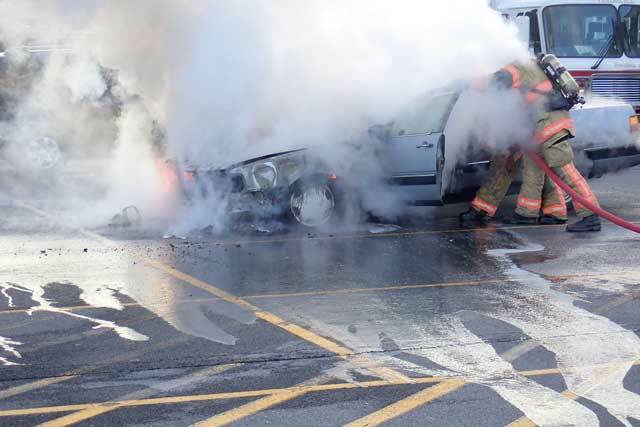 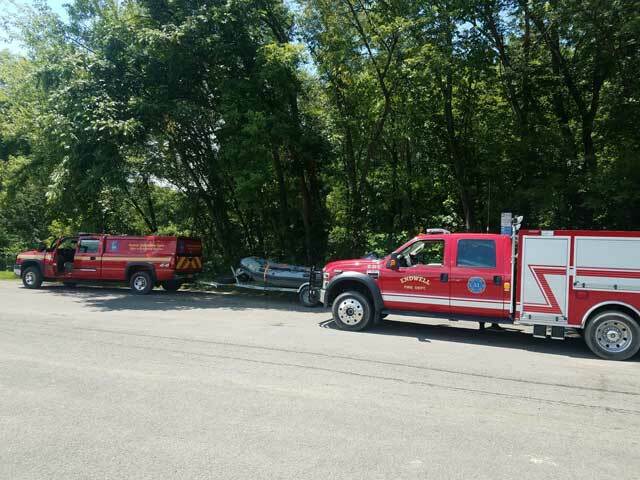 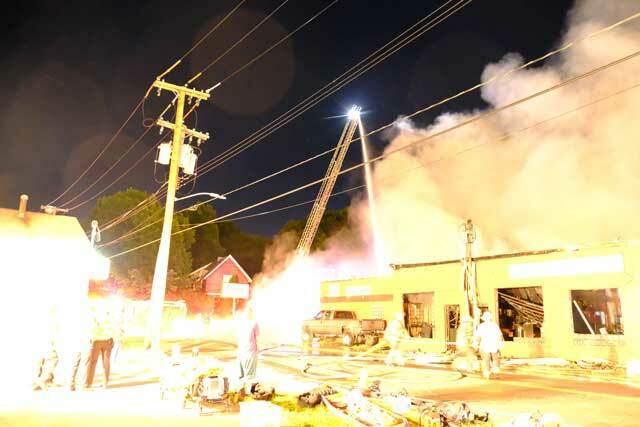 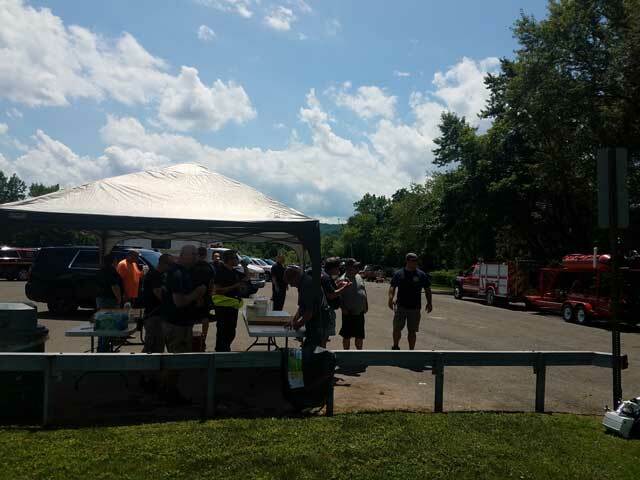 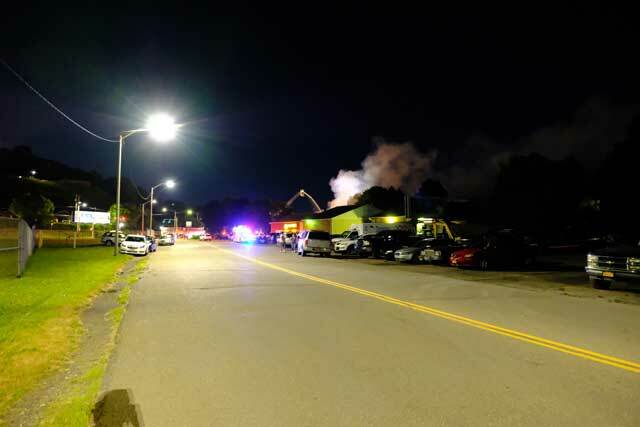 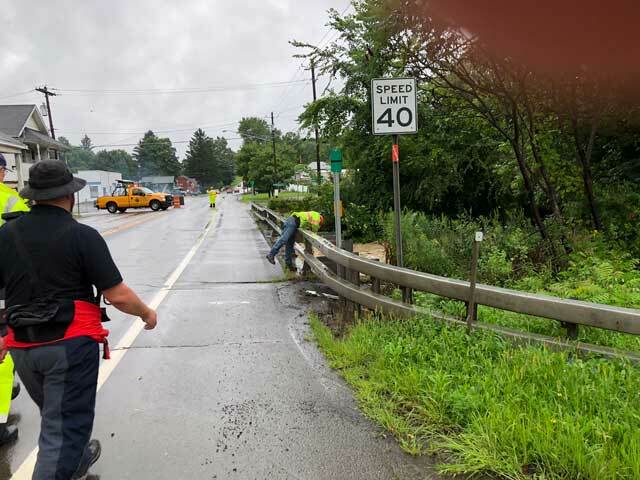 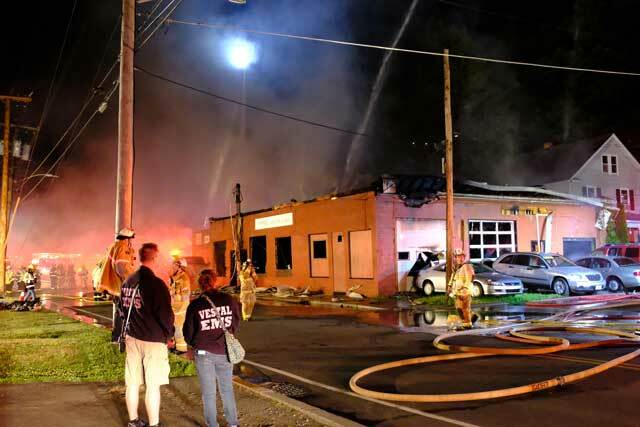 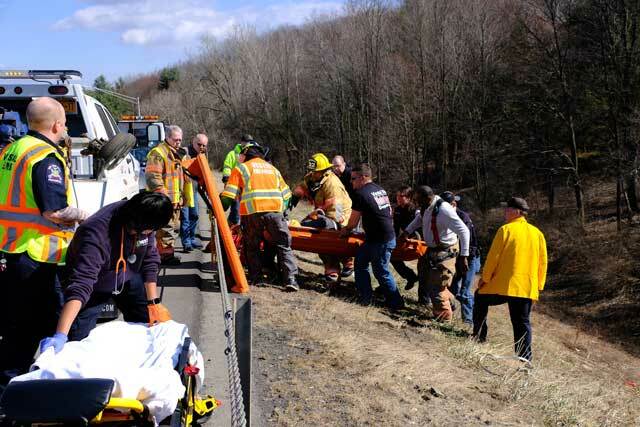 Vestal Fire Department wants to thank all our mutual aid brothers and sisters, Vestal Police Department, Vestal Emergency Squad, Vestal Highway Department, and the various other Town of Vestal Departments that showed up to help during this event. 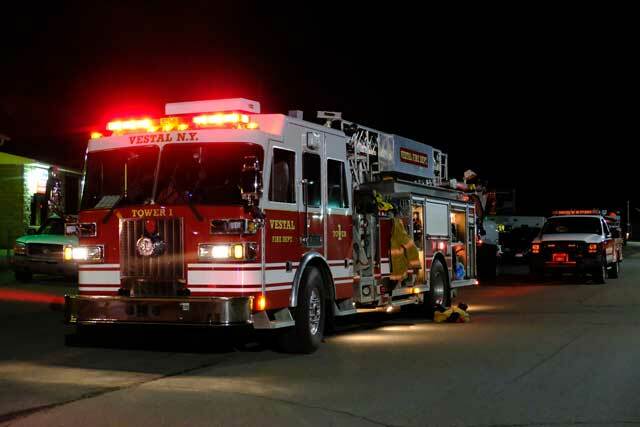 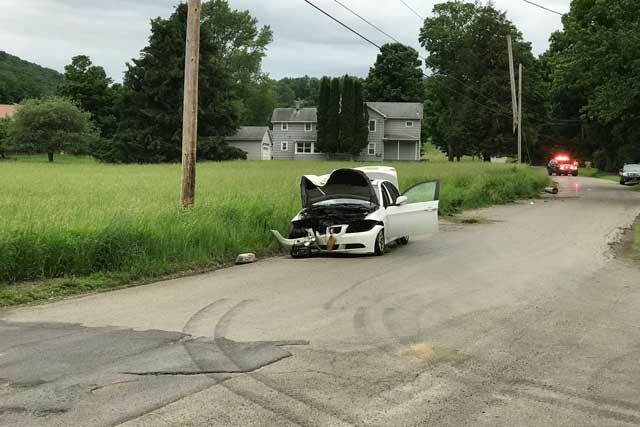 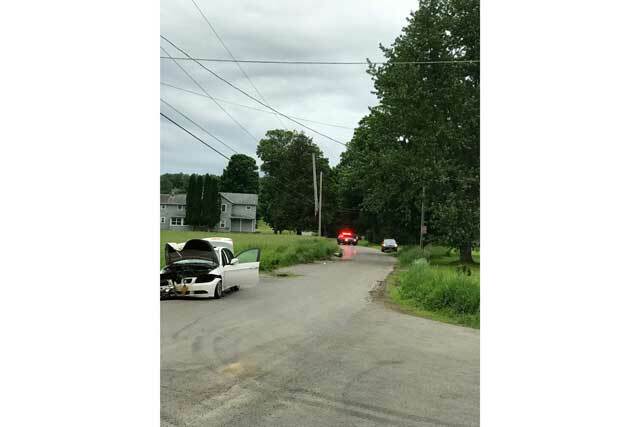 We would also like to thank the residents of South Vestal, Vestal Center, and Vestal for their cooperation with us in dealing with this serious situation. 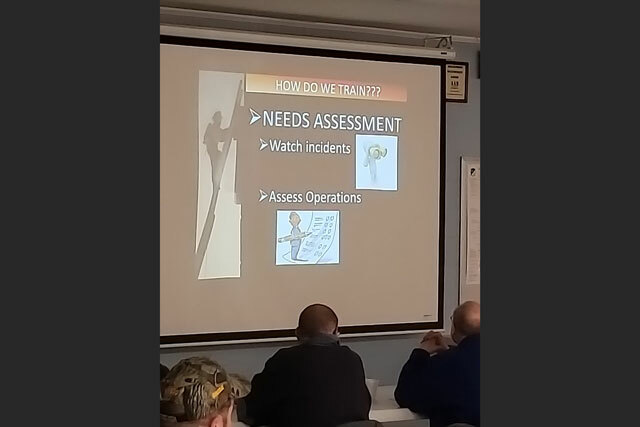 The pictures and video provided were taken during the course of our operations …. 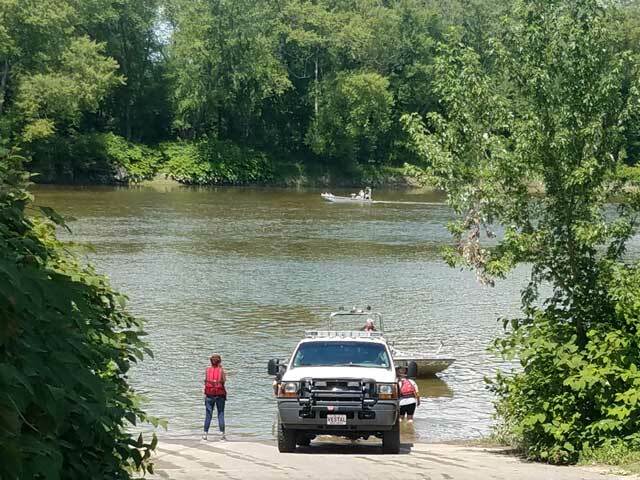 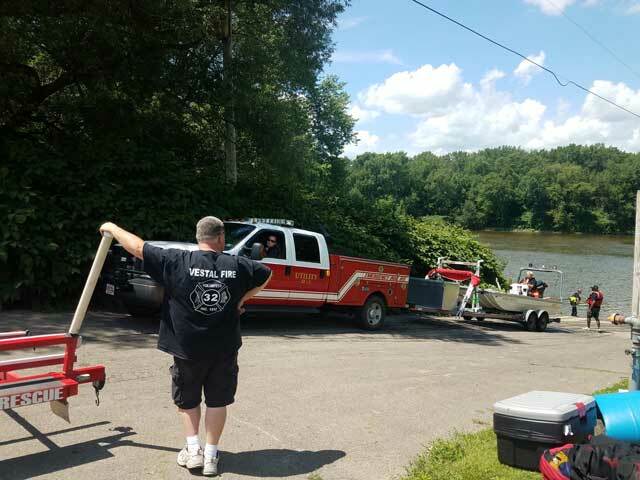 The water rescue team deploys at Harold Moore Park with other local water rescue teams for a possible river rescue in July.